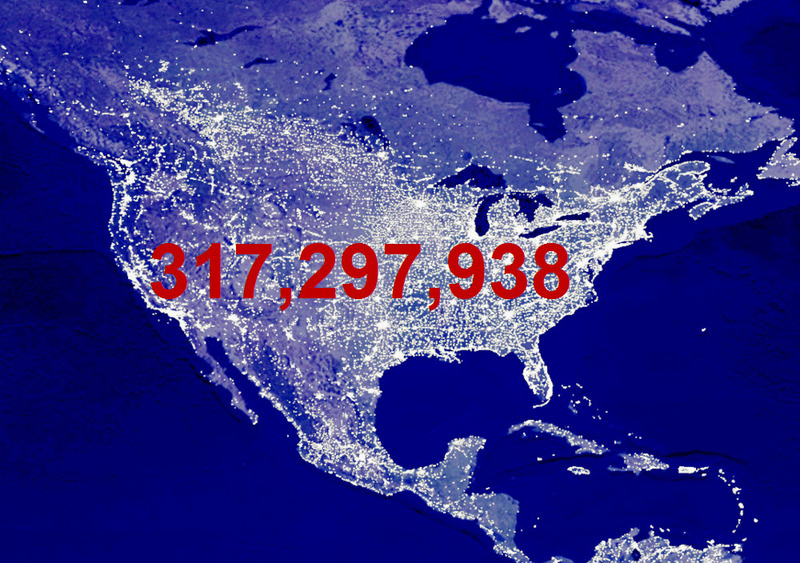 As our nation prepares to begin the new year, the U.S. Census Bureau today projected that on Jan. 1, 2014, the United States population will be 317,297,938. This represents an increase of 2,218,622, or 0.7 percent, from New Year’s Day 2013. In January 2014, one birth is expected to occur every 8 seconds in the United States and one death every 12 seconds. The projected world population on Jan. 1, 2014, is 7,137,577,750, an increase of 77,630,563, or 1.1 percent from New Year’s Day 2013. In January 2014, 4.3 births and 1.8 deaths are expected worldwide every second. India added 15.6 million people over the one-year period, which led all countries, followed by China, Nigeria, Pakistan and Ethiopia. The. U.S. Department of Commerce wishes you a happy 2014! The year’s end is a natural time to look back on past accomplishments. This year, we’re reflecting on 25 successful years of the National Institute of Standards and Technology’s Holling’s Manufacturing Extension Partnership (MEP). MEP is a public-private partnership that helps mostly small and mid-size manufacturers enhance productivity and technological performance, and strengthen their global competitiveness. Through a network of more than 400 centers in every state and Puerto Rico, about 1,300 MEP experts help make these businesses—and the U.S. economy—stronger. Manufacturing in the U.S. has seen some significant changes during the past two and a half decades. Today’s manufacturing is robotics, 3-D printing, and nanotechnology. And today’s manufacturing produces everything from large-scale industrial equipment, to medical devices, to handcrafted, consumable products we use every day. Our latest data show that for every dollar spent in manufacturing, another $1.48 is aded to the economy – the highest multiplier of any sector. Manufacturing also supports good jobs—with starting salaries 38 percent higher than other sectors. Innovation is crucial for ensuring the U.S. remains competitive in the global economy–and manufacturing is a key indicator of our nation’s innovative capacity. A recent MIT study points out that innovation occurs not only at the point of invention, but at every stage of product development and delivery, which is why it is so important that we help companies “Make it in America.” The Commerce Department’s recently unveiled “Open for Business Agenda” also prioritizes supporting American manufacturing at all stages of the product life cycle. The holiday season is a time for gathering to celebrate with friends and family, to reflect and to give thanks. At this time of year, the Department of Commerce’s U.S. Census Bureau presents holiday-related facts and statistics from its data collections, including details about mail, retail sales, toys, trees and decorations and much more. The Census Bureau will release its annual U.S. population projection for 2014 on Friday, December 27. Happy holidays from the U.S. Department of Commerce and all our bureaus and agencies! U.S. Secretary of Commerce Penny Pritzker and U.S. Trade Representative Michael Froman today in Beijing led the American delegation in the 24th session of the U.S.-China Joint Commission on Commerce and Trade (JCCT). Hosted by Chinese Vice Premier Wang Yang, the JCCT discussions also included U.S. Secretary of Agriculture Tom Vilsack. 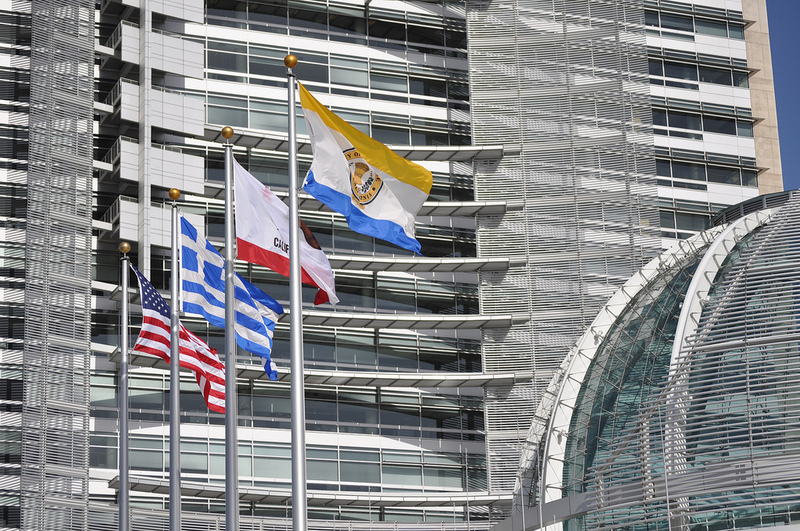 The United States announced key outcomes in the areas of intellectual property rights, government procurement, and regulatory obstacles. The JCCT holds high-level plenary meetings on an annual basis to review progress made by working groups that focus on a wide variety of trade issues. These working groups meet throughout the year to address topics such as intellectual property rights, agriculture, pharmaceuticals and medical devices, information technology, tourism, commercial law, environment, and statistics. Established in 1983, the JCCT is the main forum for addressing bilateral trade issues and promoting commercial opportunities between the United States and China. The 2012 JCCT meeting was held in Washington, DC. This December is the 40th anniversary of the Endangered Species Act (ESA)—the legislation protecting our country’s diverse wildlife and the legacy left for future generations. The Act, signed into law on December 28, 1973, by President Nixon, provides a critical safety net for fish, wildlife, and plants. It has prevented the extinction of hundreds of imperiled species and promotes the recovery of many others while conserving the habitats upon which they depend. 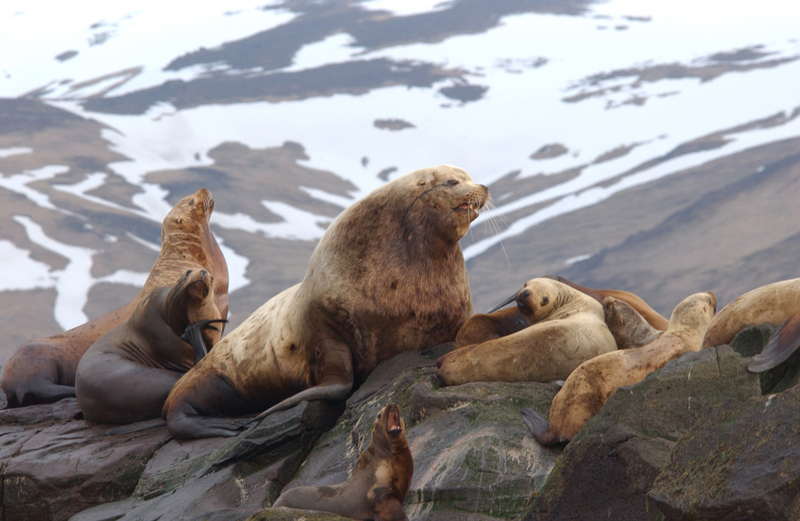 Endangered species recovery is complex and difficult work, requiring the efforts of the National Oceanic and Atmospheric Administration, the U.S. Fish and Wildlife Service, and many committed partners. Just as it takes a long time for species to reach the brink of extinction, it takes a long time to bring them back. The Alexander Hamilton U.S. Custom House in New York City was the setting on a wintery Monday, December 16, as more than 250 businesspeople and other participants turned out for the 100th anniversary celebration of the opening of the New York U.S. Export Assistance Center. 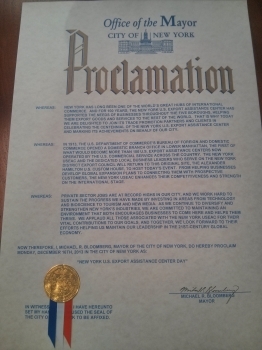 Mayor Michael Bloomberg also proclaimed December 16 as “NY U.S. Export Assistance Center Day,” further recognizing the impressive milestone. The Department of Commerce this week installed three solar panels on the roof of its headquarters, the Herbert C. Hoover Building (HCHB) in downtown Washington, D.C. The first of its kind for the building, the installation is part of Commerce’s efforts to increase its use of renewable energy and commitment to environmental stewardship. The installation also supports President Obama’s December 5 memo challenging federal agencies to obtain 20 percent of their electricity from renewable sources by 2020. Two Commerce agencies–the National Oceanic and Atmospheric Administration (NOAA) and National Institute of Standards and Technology (NIST)–have already installed solar panels on some of their facilities in recent years. The Department is challenging all Commerce bureaus to pursue renewable energy, implement energy conservation campaigns, and lead by example as good stewards of the environment. Daniel K. Inouye Regional Center located on Ford Island in Honolulu. The facility, named for the late Senator Daniel K. Inouye in January 2013, is the last phase of a campus environment that will house 15 NOAA offices with more than 700 staff, and most of the NOAA assets in Hawai'i. Acting NOAA Administrator Dr. Kathryn Sullivan attended the dedication ceremony along with the late senator's wife, Mrs. Irene Hirano Inouye, members of the Hawai'i Congressional delegation, as well as Navy, state, and local representatives. Senator Inouye passed away in December 2012, after a distinguished, nearly 50-year career in the United States Senate. In her remarks, Dr. Sullivan stressed the fact that Senator Inouye was a great friend to NOAA and a great advocate for Hawaiians and our country's natural resources. The late Senator Inouye, with support from the Hawai'i Congressional delegation and the state of Hawai'i, led the effort to redevelop Ford Island and secure the necessary funding for a world class facility to support NOAA's science, service and stewardship mission in the Pacific Region. The $331 million project was partially funded under the American Reinvestment and Recovery Act and represents the largest capital facility project in NOAA's history. 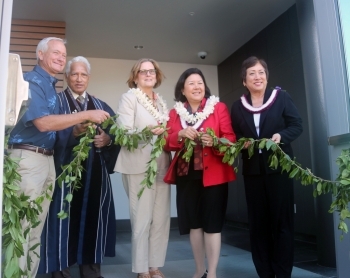 In January 2013, the facility was named in Senator Inouye's honor, in recognition of his significant contribution to ocean and environmental issues and his steadfast support for the construction of the campus. The center is a 35-acre parcel on federally owned property and combines new facilities with the historic preservation of four buildings culminating into a campus which is environmentally sustainable, state of the art, and Leadership in Environmental and Energy Design (LEED) Gold Certified. Specifically, the project involves the renovation and construction of a new central office and laboratory facility, logistics warehouse and seawater facility, port facility, and piers for both large and small vessels. NOAA anticipates the new facility will save more than $3 million per year in operating and other costs by eliminating office leases, lower energy costs, and consolidation of information technology infrastructure. The site location inspired the designers to feature three key natural resources - water, wind, and sun - into a high-performance facility well adapted to its site, climate and culture. This week, I visited the “Fast for Families” tent on the National Mall with Secretary of Education Arne Duncan to show our support for passing commonsense immigration reform. I was humbled by the courageous men and women we spoke with, who are making a personal sacrifice to end the human suffering they have witnessed as a result of our current immigration system. The “Fast for Families” was launched by faith, immigrant rights and labor leaders on November 12 and has been ongoing since. The dedicated leaders who have gathered to fast on the National Mall have been driven by their individual experiences, but they are united in their commitment to seeing Congress pass comprehensive immigration reform. Those I met with included Rudy Lopez, who had already completed 21 days of his fast. I spoke with the son of Iranian immigrants, the daughter of migrant workers, and an undocumented immigrant from Mexico City who was on the fifth day of her fast. They each had a different story, but they all expressed their desire to live in a country that remains the source of hope and opportunity for people all over the world. The fact is, the vibrant fabric of this nation has always been made up of immigrants. My great grandfather came to the United States in the 1800s from Czarist Russia, dirt poor, at the age of 10. He taught himself English, worked several jobs, earned his law degree at night, and opened a law practice at the age of 30 in 1902. His story is the story of countless immigrants to this country, who come to America seeking a better life and better opportunities. In doing so, they have contributed to our success as a nation. In 2011, immigrants started 28 percent of all new businesses in the United States, though they only accounted for 13 percent of the U.S. population. And, more than 40 percent of Fortune 500 companies were founded by immigrants or children of immigrants. The President and the Senate’s bipartisan proposal builds a smart, effective immigration system that continues efforts to secure our borders and makes sure that every business and every worker plays by the same set of rules. Estimates are that the Senate-passed immigration reform bill can grow the economy by $1.4 trillion over the next two decades and reduce the deficit by nearly $850 billion. Commonsense reform will also attract the best minds to America by providing visas to foreign entrepreneurs looking to start businesses here. As well, it will provide our nation’s best and brightest foreign students with an opportunity to pursue an education and stay in this country after graduation. Immigration reform will also reunite families in a timely and humane manner. I have traveled all over the country since I was sworn in as Secretary of Commerce nearly 6 months ago, and I have heard tremendous support for passing immigration reform. The business community understands the numerous ways in which immigrants to this country not only benefit our economy but enrich our nation. The passionate example set by the fasters – who are so dedicated to making their voices heard – is one we can all emulate. Their courage and commitment is shining a light on what is morally right for this country and the values we, as Americans, represent. The United States Travel and Tourism Advisory Board (Board) serves as the advisory body to the Secretary of Commerce on matters relating to the travel and tourism industry in the United States. The Board held its final meeting this week and provided the following recommendations to Secretary Pritzker for priority issues to be examined over the next three years. Visa and Entry Process. Our country will not get a second chance to make a positive first impression on international travelers, and long entry wait times at ports of entry are seriously undermining that impression. We need more Customs and Border Patrol officers, but we also need to use technology to move people more efficiently. We must commit to processing all visitors to our country within 30 minutes of their arrival. The travel and tourism industry supports passage of the Jobs Originated through Launching Travel (JOLT) Act. This legislation is chock full of goodness: it would reauthorize Brand USA, modernize and expand the Visa Waiver Program, facilitate the use of secure videoconferencing for visas, reduce visa wait times, and expand the highly successful Global Entry program. Infrastructure Investment. With more international and domestic travelers visiting the United States, we must improve America’s transportation infrastructure, including our airports, rail system and highways. Substantial investment and new requirements for sustainable practices are urgently required. Commerce should identify and address the nexus between inadequate transportation infrastructure and hindered economic growth and create a public-private forum to formulate solutions. We need speedy investment and implementation of the Next Generation Air Traffic Control System (NextGen) and a public awareness campaign about how NextGen improves the travel experience by enhancing safety, reducing delays, saving fuel and reducing emissions. Secretary of Commerce Penny Pritzker will lead a senior-executive Business Development Mission to the Gulf Cooperation Countries (GCC) of the United Arab Emirates, Saudi Arabia and Qatar March 8-14, 2014. The trade mission is critical to building on export growth and furthering the Obama Administration’s efforts to help U.S. businesses compete and succeed in the global economy. It is also an important component of the Department of Commerce’s “Open for Business Agenda,” which prioritizes trade and investment. This mission will highlight export opportunities for U.S. businesses in three leading industry sectors with an emphasis on project management and engineering (including construction, architecture and design), renewable energy (solar, wind, waste-to-energy), smart grid and energy efficiency, and environmental technologies (including water/wastewater; air pollution control; and waste management). Under Secretary of Commerce for Industry and Security Eric L. Hirschhorn today highlighted the significant progress of President Obama’s Export Control Reform Initiative (ECR) during a conference call with members of the National Small Business Association and its international trade arm, the Small Business Exporters Association. ECR is aimed at bolstering national security and improving the system used by businesses for exporting sensitive items. Small and medium-sized businesses stand to benefit from ECR’s emphasis on helping to improve the strength of the U.S. defense industrial base. Hirschhorn told the group today that over the past four years, the Obama Administration has sought, through export control reform, to achieve greater regulatory efficiency and rationality and focus controls on the most significant items and destinations. ECR encompasses defense and high technology commercial goods and technology. A private industry study suggested that ECR could create hundreds of thousands of jobs over the long term. As ECR moves forward, BIS will continue to engage industry leaders, small business owners, and other stakeholders on these efforts to enhance national security, increase U.S. interoperability with allies, strengthen the American defense industrial base, and importantly, reduce unnecessary burdens, expenses, and red tape on American exporters. BIS has an active outreach program of seminars, webinars, and teleconferences like today’s event, to assist exporters in understanding and complying with changes related to the ECR. The current schedule for seminars around the country is regularly updated on the BIS website. After Thanksgiving, you may have stood in long lines for Black Friday, supported your local businesses on Small Business Saturday, and clicked endlessly on Cyber Monday. And today, there is a relatively new tradition that demonstrates America’s incredible capacity for generosity – Giving Tuesday. Along with businesses and charities worldwide, I am proud to support #GivingTuesday today, an event designed to support our communities by helping charities raise money online. Spearheaded by the United Nations Foundation and 92nd Street Y, a non-profit cultural and community center in New York City, #GivingTuesday allows you to support your favorite causes across the nation and around the world. Last year, $10 million in online donations rolled in on the inaugural #GivingTuesday. The number of PayPal mobile donations jumped nearly fivefold over the previous year, and the value of those donations increased more than 200 percent. Clearly, Americans are showing that they are ready to use technology and innovation to give back. This year promises to deliver much more in positive impact. Already, the number of #GivingTuesday partners has already tripled from 2,500 to 7,500, and I’m glad to see businesses like eBay, Johnson & Johnson and AT&T all have efforts to support Giving Tuesday. Some examples are Microsoft launching a campaign to raise $500,000 for Give for Youth to create education, employment and entrepreneurship opportunities for young people in conjunction with Giving Tuesday. And the Case Foundation is helping to host an online site where donors can support selected nonprofits and get their contributions matched. These are just a few of the many signing on. Schools and community groups are also getting involved. This is the type of creative collaboration between public, private, and nonprofit entities that I love seeing. 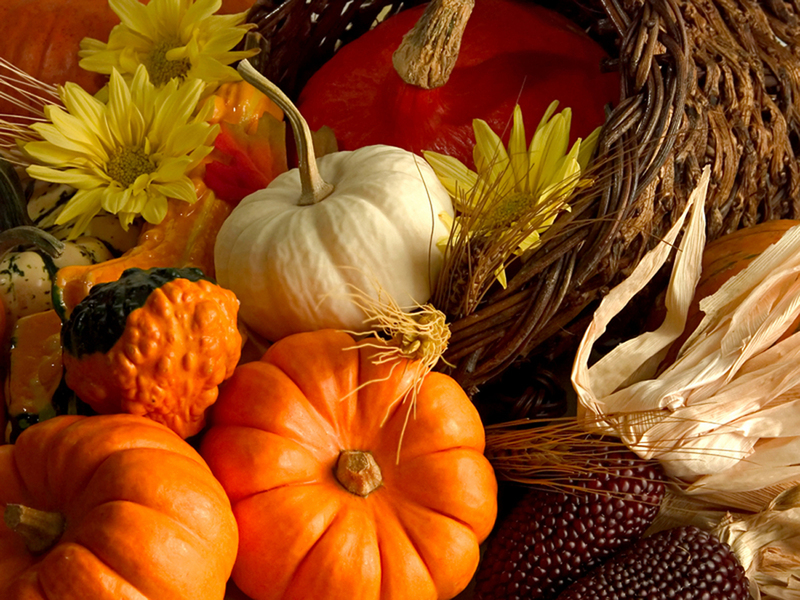 In the fall of 1621, the Pilgrims, early settlers of Plymouth Colony, held a three-day feast to celebrate a bountiful harvest, an event many regard as the nation's first Thanksgiving. The Wampanoag, the Indians in attendance, also played a lead role. Historians have recorded ceremonies of thanks among other groups of European settlers in North America, including British colonists in Virginia in 1619. The legacy of thanks and the feast have survived the centuries, as the event became a national holiday 150 years ago (Oct. 3, 1863) when President Abraham Lincoln proclaimed the last Thursday of November as a national day of thanksgiving. Later, President Franklin Roosevelt clarified that Thanksgiving should always be celebrated on the fourth Thursday of the month to encourage earlier holiday shopping, never on the occasional fifth Thursday. 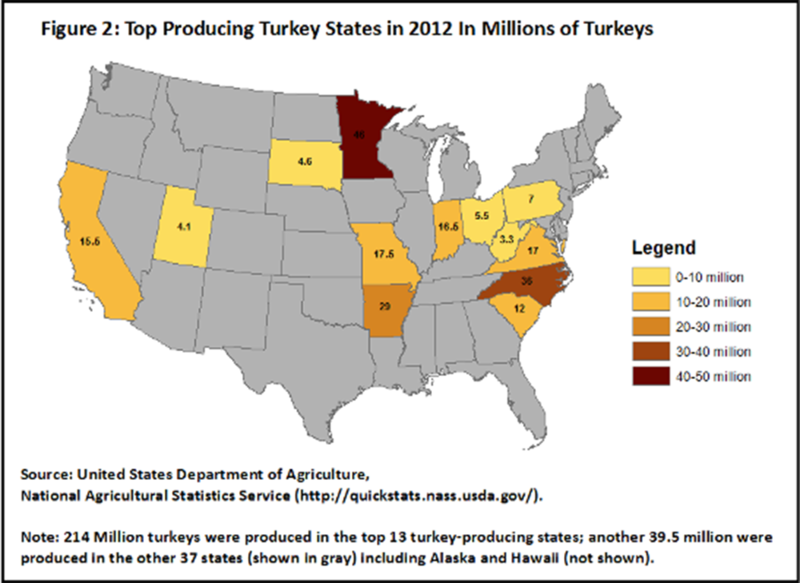 242 million: the number of turkeys forecasted to be raised in the U.S. in 2013. 768 million pounds: The forecast for U.S. cranberry production in 2012. 2.6 billion punds: The total weight of sweet potatoes produced by major sweet potato producing states in 2012. America has always been a nation on the move. Whether you are looking for a career change or a new neighborhood to call home, life decisions affect each of us every day. With roughly half of Americans now owning smartphones, everyone should be able to access the wealth of statistics the Census Bureau collects to make informed decisions on the go, whether at home or on the road. 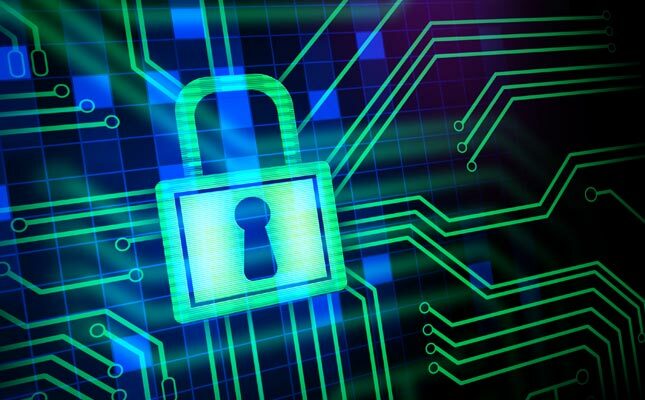 What good are data if nobody but the experts can easily access them? The Census Bureau uses 21st century technology to meet its centuries-old mission, making the statistics that define our growing, changing nation more accessible to the public than ever before. 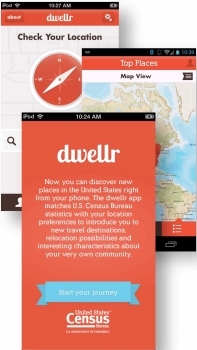 The Census Bureau’s new mobile app, dwellr, (iOS / Android) provides those on the go with immediate, personalized access to the latest demographic, socio-economic and housing statistics from the American Community Survey for neighborhoods across the nation. Using the level of importance you places on a location’s characteristics, the app generates a list of top 25 towns or cities most suitable for you. Once you have used the app, it saves your selections on your phone so you can see how they match up against each new place you visit. With more than 30 million Americans moving last year, dwellr allows for quick and easy access to information to help make the decision, including the ages of residents, how many families have children, median income and housing costs. Dwellr allows Apple and Android smartphone users to explore a range of questions making it a powerful tool for homebuyers, members of the military being deployed domestically, real estate agents, new businesses and teachers helping students learn about their communities. The statistics in dwellr are only the beginning of a powerful story you can tell with Census Bureau data. Imagine if an app matched your preferences with restaurant reviews, places with museums or most visited parks. 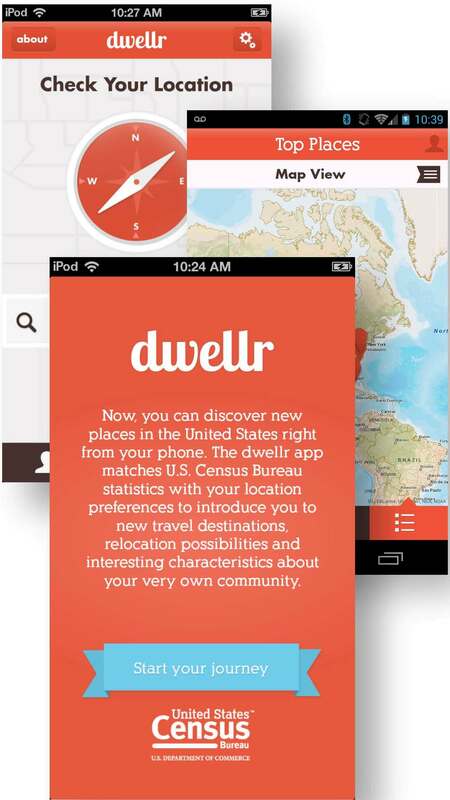 With the Census Bureau’s Application Programming Interface, developers can take the same statistics found in dwellr and apply them to any app they can imagine. We are eager to see new applications of these American Community Survey statistics that help people learn more about their communities using the same information businesses use to plan investments and services. These statistics, along with the Census Bureau’s other economic information, provide timely, critical information on the health of the U.S. economy. The app is just the latest product from the Census Bureau’s digital transformation and provides statistics to more Americans in a new and user-friendly way. It follows the successful release of our hugely popular America’s Economy mobile app, which now has more than 100,000 downloads. Coming soon, you will see an upgraded census.gov website with enhanced search and navigation features that are based on several years of customer feedback. We continue to open up more of our data to developers as part of our API, including 30 years of decennial statistics in addition to the American Community Survey statistics that power dwellr. As we continue to align ourselves with the Digital Government Strategy, our free mobile apps are just one way we are making our statistics available anytime, anywhere, and on nearly any device. Download dwellr from the Google Play or Apple store today and begin learning more about where you are and where you could go in the future. I work as a statistician in the Human Resources Division at the U.S. Census Bureau and my responsibilities include reporting on Federal Employee Viewpoint Survey results for the bureau and working on policies and issues related to excepted-service field data collection employees. I grew up on the Navajo reservation spanning parts of New Mexico and Colorado. We lived off the grid and were ranchers with livestock that needed daily attention. Summers meant camping on the outer parts of our land and sleeping under a blanket of stars. We explored on horseback and lived a semi-nomadic lifestyle free from the world outside the traditional Navajo culture. This lifestyle meant my brothers and I learned to be responsible and self-sufficient at an early age. Being the only girl in the family meant I had to be fearless if I wanted to keep up with all my brothers. When I graduated high school, there were no opportunities on the reservation so I enlisted in the military. The military offered me an opportunity to pursue higher education and to serve in an honorable profession. I started going to school part-time and got an Associates degree in Logistics with the Community College of the Air Force. Later I got a B.S., in Social Science with a minor in Journalism. I made some lasting friendships and after 25 years, I retired and completed my M.A. in Applied Sociology at the University of Maryland, Baltimore County. Outside the workplace, I help my husband with our small business most weekends. When you are in business, you have to be willing to adapt so you can provide the type of service that sets you apart. We have to network, be informed and sensitive to the economy just like our customers so it is a constant balancing act to remain competitive in an ever-changing market. Today, Acting Deputy U.S. Commerce Secretary Patrick Gallagher delivered remarks at “From DC to Africa: Growing Local, Going Global,” a business forum hosted by the D.C. Office on African Affairs to raise awareness of opportunities for U.S. companies to do business in Africa. D.C. Mayor Vincent Gray also gave remarks at the forum and introduced Dr. Gallagher. 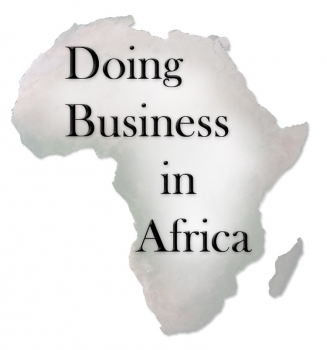 The event also marks the first anniversary of the launch of the Commerce Department’s Doing Business in Africa Campaign (DBIA) by then-Acting Commerce Secretary Rebecca Blank in Johannesburg, South Africa. Last year, President Obama issued the U.S. Strategy Toward Sub-Saharan Africa and said the region is poised to be the world’s next greatest economic success story. In fact, sub-Saharan Africa is home to six of the ten fastest-growing economies in the world. U.S. exports to Africa currently top $21 billion a year, and enormous opportunities exist for more U.S. companies to export goods and services there. DBIA works to take advantage of those export and investment opportunities by encouraging more robust commercial engagement in sub-Saharan Africa. 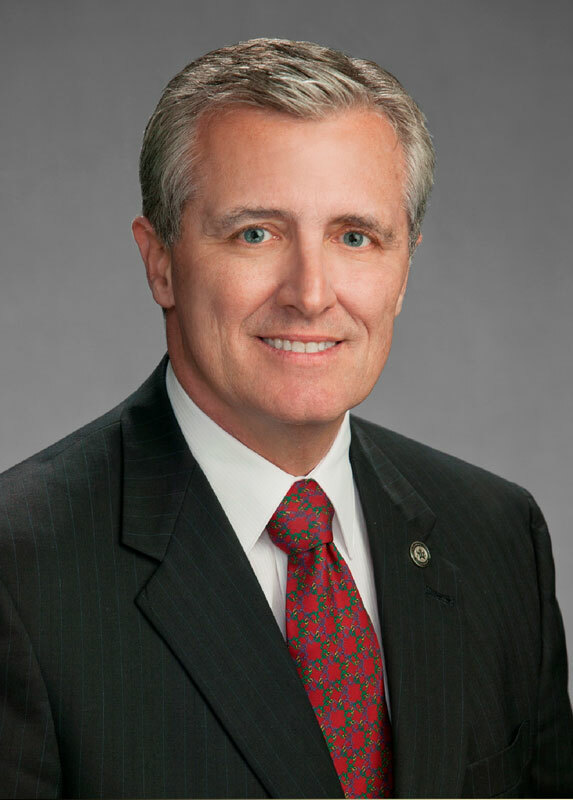 In speaking to an audience of more than 200 local businesses, Acting Deputy Secretary Gallagher emphasized why U.S. companies should see sub-Saharan Africa as an export destination. In the first half of this year, U.S. companies have exported more than $1 billion more in goods exports to the region compared to the same period in 2012. However, U.S. exports to Africa represent only two percent of our total exports. Dr. Gallagher also highlighted DBIA campaign successes through the work of the Commerce Department and their partner trade agencies in the last year, including holding nationwide outreach sessions with sub-Saharan Africa commercial experts, and bringing hundreds of African companies and buyers to U.S. trade shows in sectors like water, power, oil and gas, and agribusiness. In the second year of the DBIA campaign, the Department of Commerce aims to bring even more potential African partners and buyers to U.S. trade shows, collaborate on the administration’s Power Africa initiative to double access to electricity in sub-Saharan Africa, and address trade barriers in the region. The DBIA campaign also supports NEI 2.0, an initiative laid out in the Commerce Department’s “Open for Business Agenda,” which aims to revitalize efforts to partner with industry to help businesses become more globally fluent, increase American exports and support the creation of millions of jobs. 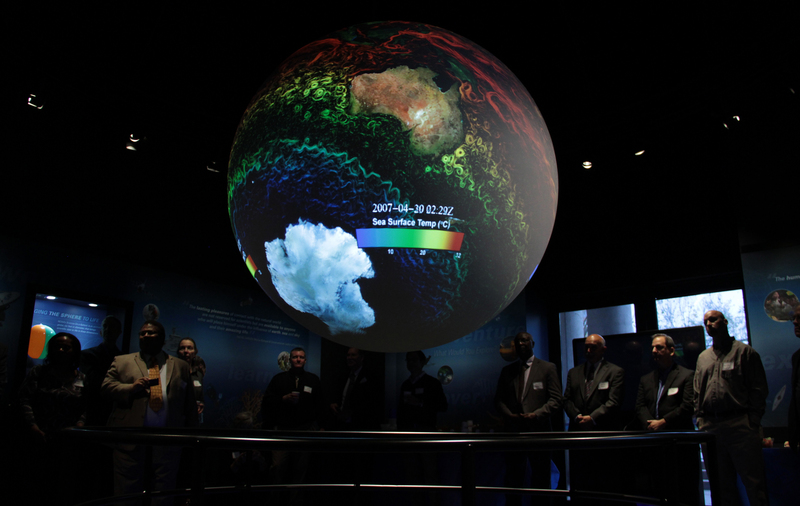 A glowing six-foot diameter sphere, suspended from the ceiling of NOAA headquarters in Silver Spring, Md., is the 100th Science On a Sphere® installed around the world. The 3-D display system, which was unveiled November 22, illuminates awe-inspiring animations of planet Earth and is used by educators, curators and scientists alike to explore global environmental data, such as swirling hurricanes, clouds and ocean currents. On her visit to Munich today, U.S. Secretary of Commerce Secretary Pritzker toured iwis Motorsystems, a family-owned company that is making investments and creating jobs in the United States. One key aspect of U.S. Secretary of Commerce Penny Pritzker’s “Open for Business Agenda” is the importance of attracting foreign direct investment (FDI) to the United States. A report recently released by the Department of Commerce and the Council of Economic Advisors found that foreign-owned companies employ 5.6 million people in the United States, so it is clear that FDI is a major driver to job creation and economic growth. A “Mittelstand” (medium-sized) company, iwis is a leading supplier of automotive products used in a vast array of engines and vehicles, and has growing investments in the United States. The company has a production facility in Indianapolis, Indiana, and a subsidiary, iwis engine systems, in Troy, Michigan. Additionally, operations have recently begun at a new facility in Murray, Kentucky, to produce timing drive systems. 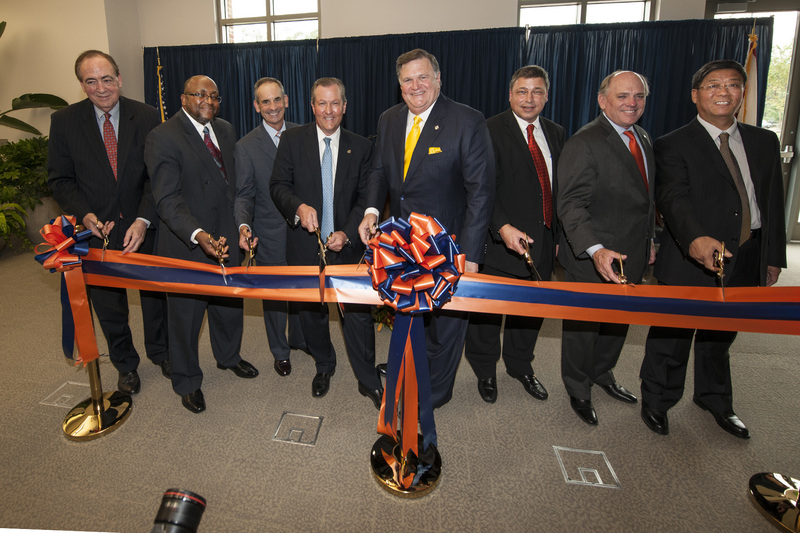 This latest facility accounts for a $12.5 million investment and, when fully operational, will employ 75 people. 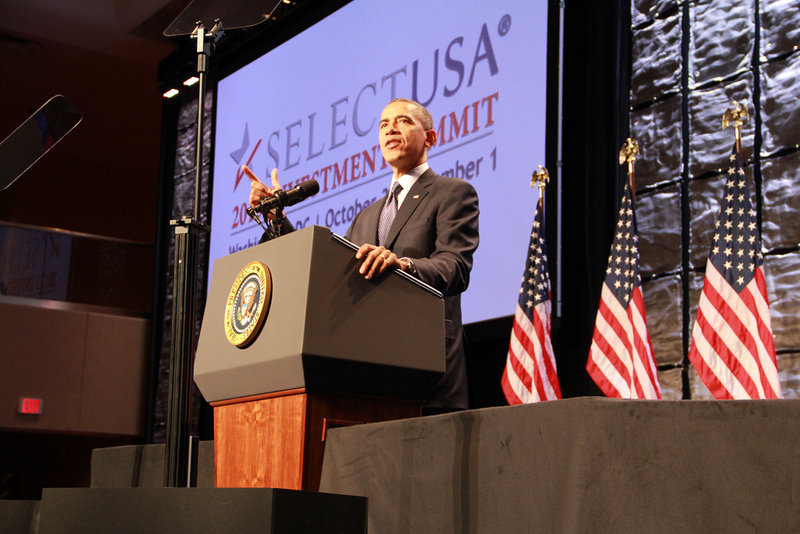 The Commerce Department’s SelectUSA program is working to attract even more of these job-creating investments. German firms like iwis are poised to make an even bigger impact in the United States – Germany sent one of the largest delegations to the SelectUSA Summit that President Obama and Secretary Pritzker hosted on Octover 31 – November 1. For 2012, FDI from Germany totaled more than $272 billion. 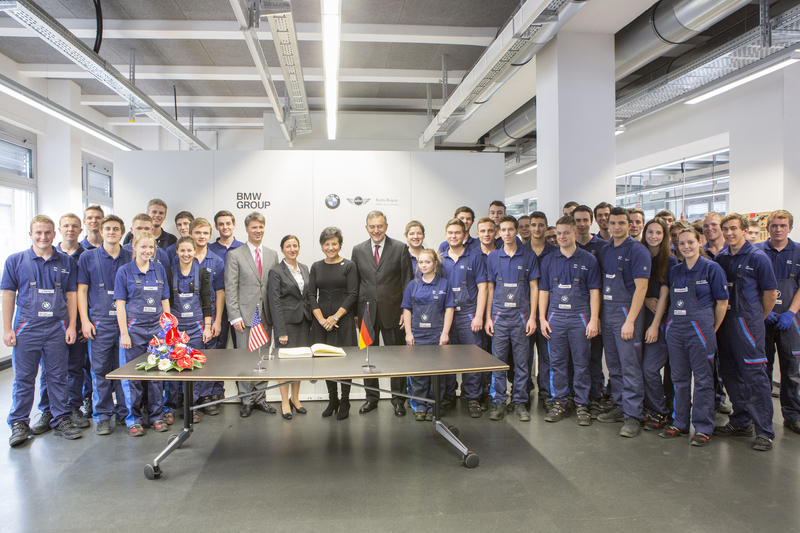 Following the announcement of her strategic vision for the Department of Commerce last week, which includes a focus on ensuring that workers are prepared with the skills that employers need, U.S. Secretary of Commerce Penny Pritzker today toured BMW's training facilities at their headquarters in Munich, Germany with CEO Dr. Norbert Reithofer and Head of Apprentice Training Jan Eggert. 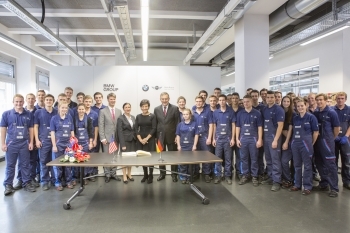 Secretary Pritzker went to BMW to learn more about how the company implements the German Dual System of Vocational training, through which students receive a technical degree at a local educational institution while simultaneously participating in on-the-job training. BMW has a unique apprenticeship program, which is currently training 4,500 apprentices worldwide with the skills the company anticipates it will need from future employees. BMW has spent 1.2 billion euros on professional development since 2007. While the majority of BMW apprentices are located in Germany, the company is expanding its program internationally, including at their Spartanburg, South Carolina plant. BMW employs more than 7,000 workers in South Carolina, and they have 70 apprentices at the facility who they are training for BMW careers. The apprenticeship program in Spartanburg has been in place since 2011 and works with three local technical colleges. Secretary Pritzker has made skills development a top priority of the Commerce Department for the very first time, and is encouraging businesses to partner with local education institutions on programs that train high-quality workers for in-demand jobs. She will work closely with her counterparts, Secretary of Labor Tom Perez and Secretary of Education Arne Duncan, on these workforce training initiatives. BMW's model is one that can help inform these efforts. The Department of Commerce's National Oceanic and Atmospheric Administration (NOAA) issued its annual winter outlook today through the National Weather Service. 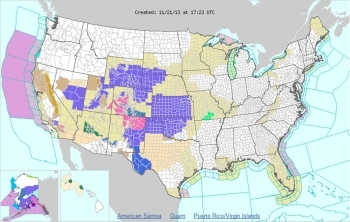 A cold front moving across the Plains will bring temperatures plummeting as much as 10-25 degrees below normal across much of the central and northern Plains on Thursday, as well as areas of heavy snow across parts of the Rockies and central Plains Thursday into Friday. Mixed precipitation is forecast for parts of the southern Plains into the Southwest, with heavy rain possible across the Desert Southwest. Read more For interactive map, visit http://www.weather.gov/. 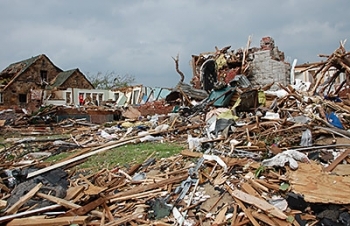 The Commerce Department's National Institute of Standards and Technology (NIST) released a report today on the impacts of the May 22, 2011 tornado that struck Joplin, Mo. Nationally accepted standards for building design and construction, public shelters and emergency communications can significantly reduce deaths and the steep economic costs of property damage caused by tornadoes were among the key conclusions of the two-year technical investigation. The recommendations are featured in a draft report issued for public comment today and announced at a press briefing held at Missouri Southern State University in Joplin. The NIST study is the first to scientifically assess the impact of a tornado in four major categories: tornado characteristics, building performance, human behavior and emergency communication—and the impact of each on life-safety, the ability to protect people from injury or death. It also is the first to recommend that standards and model codes be developed and adopted for designing buildings to better resist tornadoes. The NIST report includes a number of recommendations for future research and development of technologies and strategies to advance tornado wind measurements, strengthen emergency communications, increase warning time, derive more accurate tornado hazard maps and significantly improve public response during tornado events. 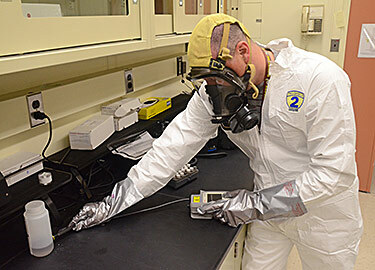 NIST welcomes comments on the draft report and recommendations—available online at http://www.nist.gov/manuscript-publication-search.cfm?pub_id=914787 — which must be received by 5 p.m. Eastern Time on Monday, Jan. 6, 2014. Comments may be submitted via email todisaster[at]nist[dot]gov or mailed to NIST Technical Investigation Joplin, 100 Bureau Dr., Stop 8611, Gaithersburg, Md. 20899-8611. Today, the U.S. Census Bureau released a new interactive tool designed to visualize the key economic findings found in the statistical agency's most recent Business Dynamics Statistics report released in July. 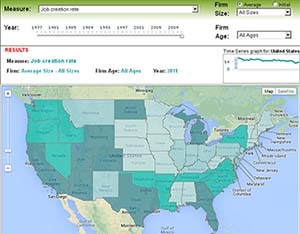 The Business Dynamics Statistics Visualization Tool spans four decades of information about America's economy - providing key insights on job creation and loss during the most recent recession. Economic measures such as employment, number of establishments and number of firms can be analyzed for a single year or multiple years from 1977 to 2011. The tool has three major components: an interactive thematic map for the 50 states, interactive bar charts that give side-by-side comparisons of states and business sectors as well as time series data comparisons over a range of time. It also is providing a new and easy way for users to look at key economic trends about America's economy by visualizing statistics over time. In partnership with the Ewing Marion Kauffman Foundation, the Census Bureau has produced annual data series for the Business Dynamics Statistics since 2008. For more information on the Business Dynamics Statistics program, go to <http://www.census.gov/ces/dataproducts/bds/>. 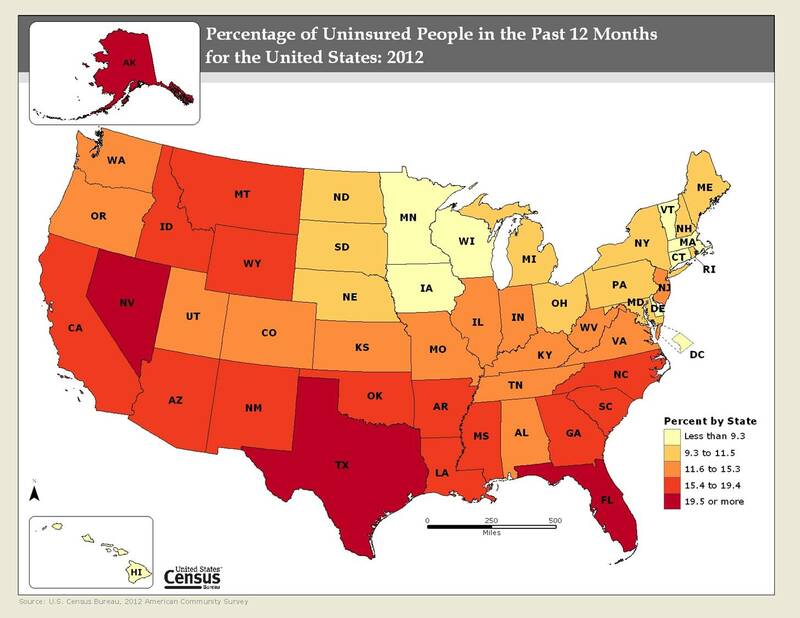 Guidance on how to use the visualization tool can be found at <http://www.census.gov/ces/dataproducts/bds/what_to_do_first.html>. The Census Bureau's first mobile app, America's Economy, provides smartphone and tablet users with real-time releases of the economic statistics that drive decisions on employment, housing construction, international trade, retail sales and manufacturing, and are important tools for businesses, economists, planners and policymakers. For more information on the app, visit the mobile app home page. 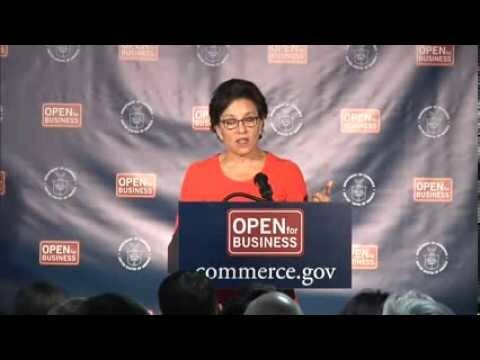 Please tune in today, as U.S. Secretary of Commerce Penny Pritzker unveils her new strategic vision and top priorities for the Department of Commerce in a speech at 1776 in Washington, D.C. The event will be webcast below. You can follow the conversation on Twitter using the hashtag #OpenForBusiness. Shortly after the event, Secretary Pritzker will take questions via Facebook from 12:15-12:45 pm Eastern time. We encourage you to participate by visiting the Department of Commerce’s official Facebook page and asking her a question about the Department’s priorities and the Obama administration’s efforts to spur economic growth and job creation. Today Deputy Under Secretary of Commerce for Intellectual Property and Deputy Director of the United States Patent and Trademark Office (USPTO), Teresa Stanek Rea, welcomed America’s future innovative leaders to the USPTO headquarters for this year’s Collegiate Inventors Competition. 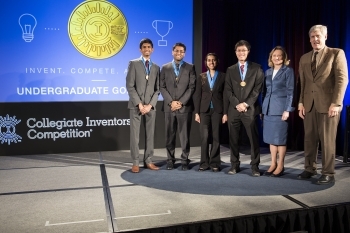 Introduced in 1990 and co-sponsored by the USPTO and Invent Now, the competition encourages invention, entrepreneurship and creativity in students who are working on cutting-edge inventions at their colleges and universities. Outstanding inventions in science, engineering, mathematics, technology (STEM) and other creative fields are judged by a panel of National Inventors Hall of Fame Inductees and USPTO officials. 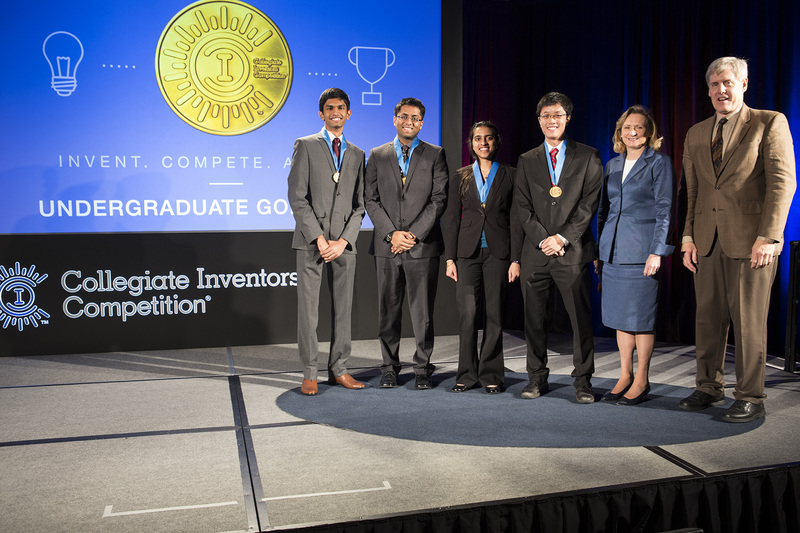 The competition recognizes inventors and scientists early in their careers, and rewards students’ pioneering ideas as they address the problems of today’s world. Past finalists and winners have gone on to start their own companies based on their inventions, win prestigious fellowships and grants and receive national attention for their work. This year’s finalists and winners trended strongly towards medical advances. 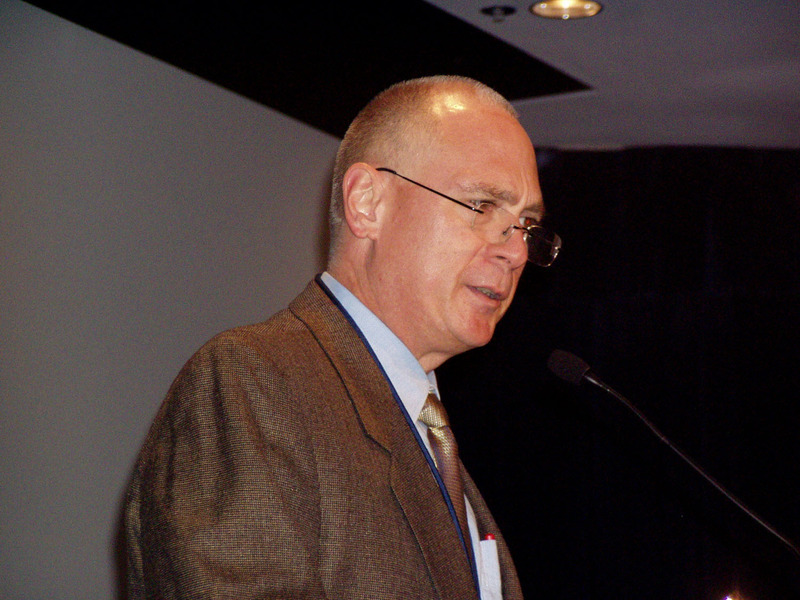 Entries included a next-generation cancer chemotherapy patch; a powered upper body exoskeleton for physical therapy and occupational lifting applications; a mechanical leech for post-surgical treatment of tissue reattachment patients; a DNA sequence-based invention for the early detection of ovarian and endometrial cancers; and an intravenous drip designed to enable clinicians in developing countries to provide dehydrated children with life-saving intravenous fluids without the risk of overhydration. 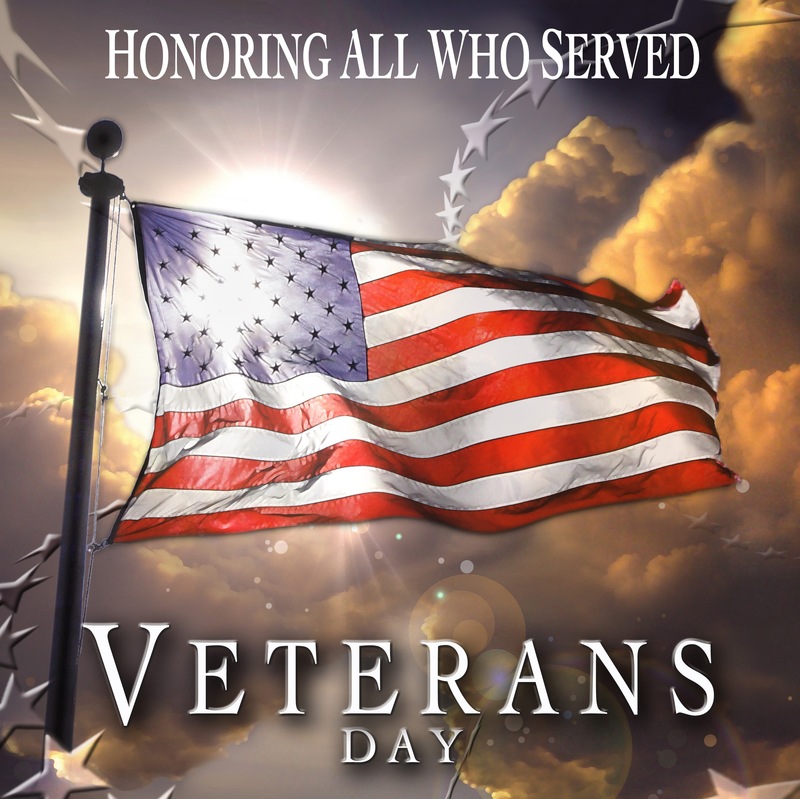 In honor of Veterans Day, we wanted to take a moment to highlight the Department of Commerce’s commitment to hiring veterans. In Fiscal Year 2013, 13.2 percent of new Commerce hires were veterans and 3.6 percent were disabled veterans, the highest numbers of veterans the Department has employed in over 20 years. The Department of Commerce (DOC) Veteran Employment Council, made up of volunteer human resources (HR) specialists, advisors, and program managers, plays a major role in hiring and retaining veterans and works with the individuals once they come on board. This year, the Department of Commerce trained over 3,100 hiring managers and human resources specialists on veterans’ preference and special appointing authorities for veterans and disabled veterans. Top performing agencies in the Department of Commerce for veteran hiring include the National Oceanic and Atmospheric Administration (NOAA) at 31.8 percent, the Office of the Secretary (OS) at 20 percent, the National Institute of Standards and Technology (NIST) at 16.2 percent and the U.S. Patent and Trademark Office (USPTO) at 13.2 percent. At the National Weather Service, my main responsibility at the Office of Science and Technology is to support and manage science and technology infusion in the areas of radar meteorology, severe weather, and tropical cyclones. I also handle grants for the Hurricane Forecast Improvement Program. During my detail in the Office of the Federal Coordinator for Meteorology, I staff the National Hurricane Operations Plan, road weather management, air transport and dispersion, Multipurpose Phased Array Radar, air domain awareness issues, and the Interdepartmental Hurricane Conference. I am committed to public service because weather information is ultimately an economic driver and because science provides enormous benefits to the public. Strengthening science and technology that enables better weather information provides many benefits to both the public and private sectors, saves lives and property, and even provides the foundation for new businesses. My role in managing science and technology infusion helps improve performance through new science and technology strengthens core economic and public infrastructure. In my current detail I support various interagency meteorological efforts that allow me to see and contribute to larger governmental aims to advance the economic and security interests of society. When it comes to detectors for dangerous chemicals, toxins or nefarious germs, smaller and faster is better. But size and speed must still allow for accuracy, especially when measurements by different instruments must give the same result. The recent publication of a new standard—a culmination of years of research at the National Institute of Standards and Technology (NIST)—provides confidence that results from handheld chemical detectors can be compared, apples-to-apples. Such detectors are used by emergency responders to check for the presence of explosives or toxic chemicals that threaten public safety. Quality control managers in the pharmaceutical industry use them to verify the identity of chemicals going into their production lines. 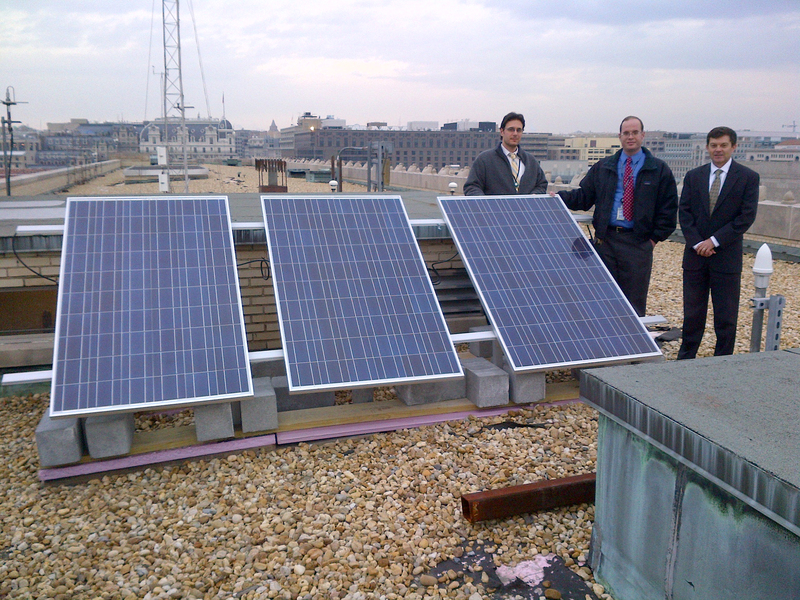 Today, the White House Council on Environmental Quality (CEQ) announced the fourth annual winners of the GreenGov Presidential Awards, which honor Federal civilian and military personnel, as well as agency teams, facilities and programs that have taken innovative steps to reduce energy use and carbon pollution, curb waste, and save taxpayer dollars. The Department of Commerce and a team from Commerce’s National Oceanic and Atmospheric Administration’s (NOAA) were recognized as two of the eight award winners during a ceremony with senior administration officials today. A team of National Marine Fisheries Service scientists and engineers at the Ted Stevens Research Institute in Juneau, Alaska, received an award in the category of Lean, Clean and Green for using seawater as a heat source to replace oil-fueled heat pumps and eliminate all carbon emissions. The staff developed a system to extract heat from seawater already being pumped through the lab to support research activities. The seawater heat pump is the latest of three projects the facility has spearheaded in order to reach zero carbon emissions. 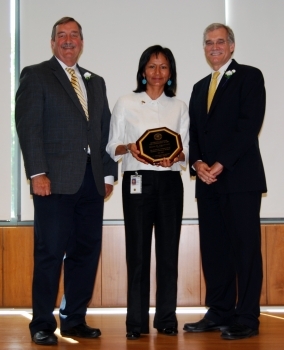 The Department of Commerce was recognized for its joint efforts with the U.S. Army Corps of Engineers, the Department of Homeland Security, and the U.S. 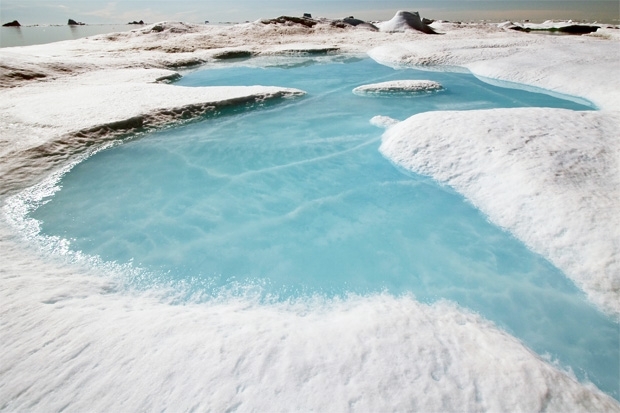 Global Change Research Program in the Climate Champion award category. The Federal agencies partnered to create an interactive sea level rise mapping and calculator tool that helps city planners identify and prepare for future flood risks. The team released the tool less than a year after Hurricane Sandy, allowing state and local planners to make better informed decisions that consider the risk in location and design of redevelopment projects. The tool uses the most up-to-date scientific information by providing assessments of future risks beyond current conditions. 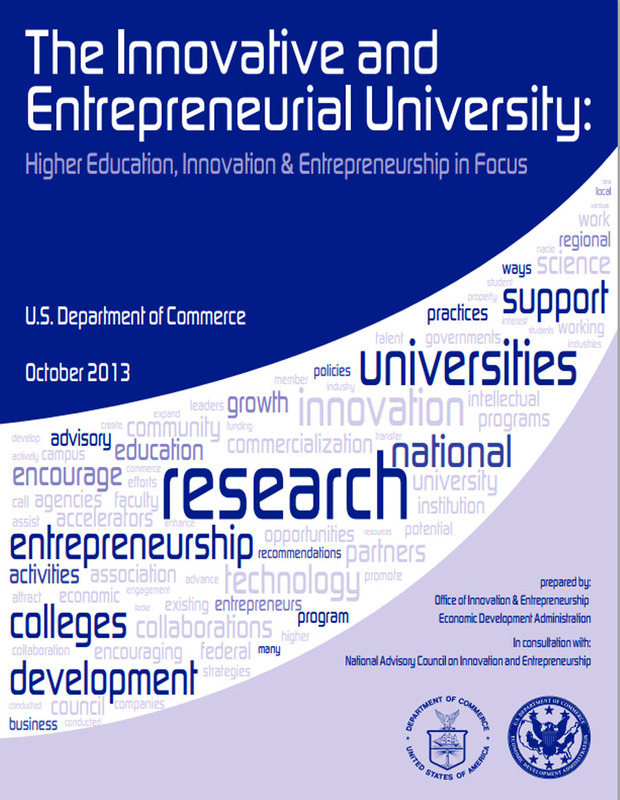 Today—marking the first full week of National Entrepreneurship Month—the Department of Commerce released a new report entitled The Innovative and Entrepreneurial University, underscoring the increasingly diverse ways in which colleges and universities across America are promoting cultures of entrepreneurship on campus and encouraging students to start companies. As hubs of learning, networking, mentorship, and creativity, colleges and universities provide particularly fertile ground for the cultivation of world-changing, entrepreneurial ideas. 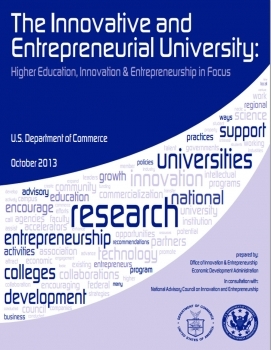 The report released today, which is based on more than 130 interviews with university leaders and builds on prior work by the National Advisory Council on Innovation and Entrepreneurship, highlights more than 50 of the most promising initiatives that have sprouted up on campuses across the country, including those that promote entrepreneurship among students and faculty; accelerate the transition of research innovations from the lab to the marketplace; and encourage engagement between universities, industry partners, and regional economies. After having the same look and feel on our website since 2010, Commerce.gov is embarking on a fresh redesign to put the user in the driver seat. Drawing on anonymized user input, we have made some significant changes and are excited to announce the launch of our new site - Beta.Commerce.gov. First, you’ll notice that we’ve made search front and center. Our search feature was visited by one in seven users, and we’ve made it even easier to find and use. We are using the USA Search Drupal module, which allows faceted search across not just Commerce.gov, but all Commerce websites. If you know the information you need is somewhere in the Commerce family, but not sure where, our search tool should be able to find it for you. To improve the user experience, the navigation bar follows the user down the page. No more scrolling up to the top of the page to navigate around the site. The navigation link you need is never more than a few pixels away. We’ve also simplified the navigation bar to make it easier to find what you are looking for. “Economic Indicators” has been replaced with “Find Data,” while “Newsroom” has been replaced with “Get News.” Based on user searches, we’ve added “Focus on Topics,” which groups our most searched topics into an easily navigable section. From spot-on forecasts delivered four days before the storm’s landfall to economic assistance to working to open ports, Commerce’s National Oceanic and Atmospheric Agency (NOAA) and Economic Development Administration (EDA) have been standing with our federal agency partners to assist affected communities. In the last year, the Obama administration has provided direct assistance to more than 230,000 people and small businesses and has announced more than $39.7 billion in funding for recipients. EDA serves as the administration’s lead for economic recovery as part of the National Disaster Recovery Framework, which coordinates key areas of assistance in the wake of natural disasters. 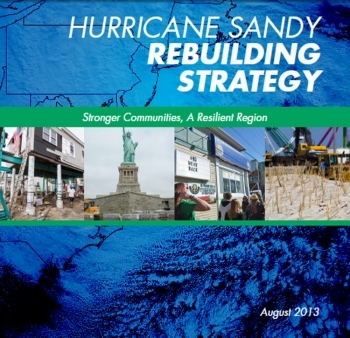 Since Sandy struck, EDA has provided targeted technical assistance through peer-to-peer forums to assist the New Jersey tourism industry, government procurement roundtables, “Access to Capital Meetings” to inform business resources of traditional and non-traditional financing mechanisms, and providing risk management resources to small businesses in the region. Ultimately, these initiatives have helped provide small businesses, local leaders, and economic development practitioners learn best practices and empowered them to undertake robust recovery efforts. Cuba is my birth place. My parents, my sister and I left our homeland for the United States when I was 11 years old in search of freedom. No, I did not come in a raft as I have strong allergies to shark-infested waters! While most people think that if you are Cuban, you must be from Cuban Mecca Miami, I am an anomaly to this assumption. I grew up in Arlington, Virginia, and attended St. Thomas More Elementary School, Bishop O’Connell High School, and graduated from Washington-Lee High School. Subsequently, I attended George Mason University, and completed my graduate studies at Catholic University. This year’s celebration of National Hispanic Heritage Month is an important one in our history as we celebrated the 500th anniversary of the landing of Juan Ponce de Leon in Florida. I consider myself to be a civil rights champion. As such, I’ve co-chaired the Council of Federal EEO and Civil Rights Executives from 2001 to 2012, and maintained its webpage. I have met with the top leadership of the U.S. Equal Employment Opportunity Commission and the U.S. Office of Personnel Management regularly to address civil rights issues in the Federal Government. The Hispanic Heritage Foundation held their first Hispanic Business Community Awards celebration Oct. 23 at the Capital One Bank headquarters in McLean, Va. 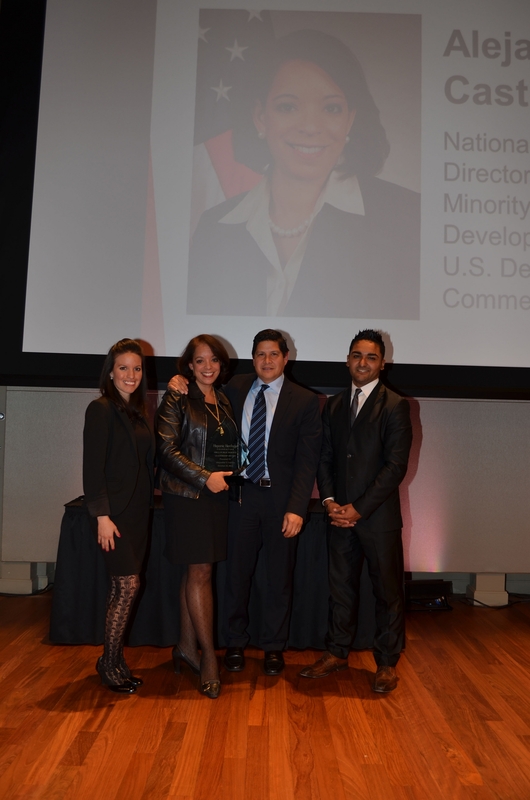 The awards recognized the impact of Latino business leaders on the Greater Washington, DC community. Alejandra Y. Castillo, MBDA National Deputy Director, was one of five awardees honored at the event. Castillo received the Public Service Leadership award. The Secretary’s first stop was to a give remarks at the Association for Better New York, a leading organization of business leaders dedicated to improving the quality of life for those that live and work in New York City and for those that visit. In her remarks, Secretary Pritzker discussed her message that America is “Open for Business” and the work that the Obama Administration and the Commerce Department are doing to help grow the economy and create jobs. Next, Secretary Pritzker met with New York Mayor Michael Bloomberg in his City Hall office. The discussion focused on ways to improve skills training efforts, spur infrastructure, immigration reform, cities as key drivers of growth, and ways the Commerce Department and the City are collaborating to strengthen the economy and create jobs. Finally, the Secretary participated in the fall dinner of G100, a private peer-learning community of current, future and recent chief executives of global companies. 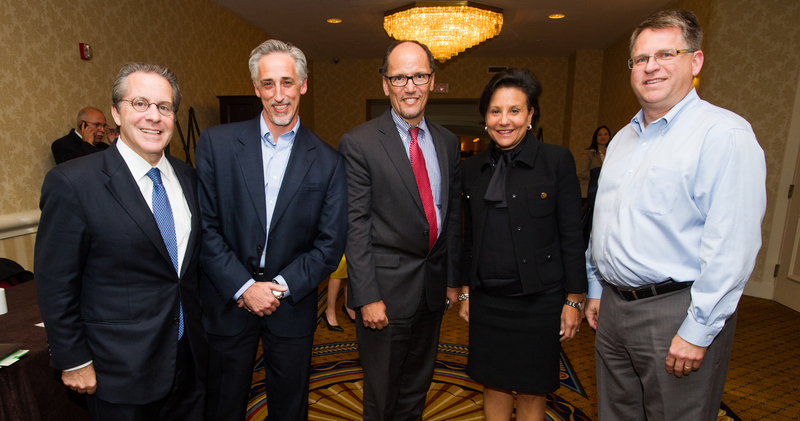 Secretary Pritzker talked about ways to create jobs, economic growth, immigration reform, and the need for putting an end to the manufactured crises in Washington. Hey, seafood lovers—did you know it’s National Seafood Month? 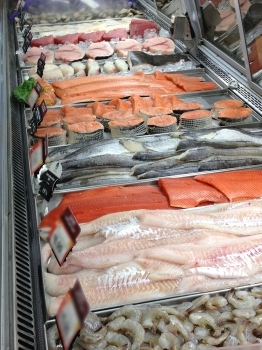 The United States is a global leader in sustainable seafood, supporting an industry with 1.2 million jobs nationwide and adding $55 billion of value to the nation’s GDP in 2011 (Fisheries Economics of the U.S.). To celebrate, NOAA Fisheries is publishing great seafood stories, including science features, culinary Q&As, and seafood videos and podcasts. 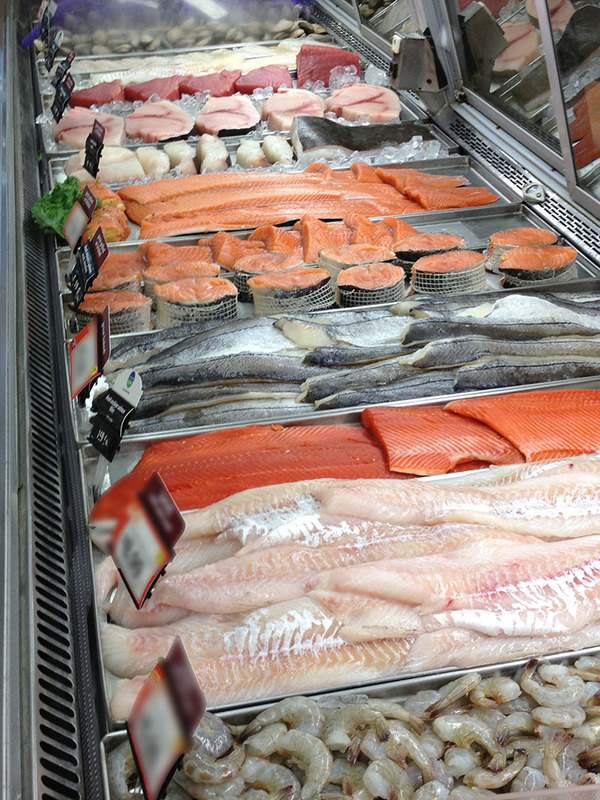 Ensuring that both present and future generations can enjoy the benefits of sustainable seafood is a core responsibility of the Department of Commerce through NOAA Fisheries. From Alaska to Maine, U.S. seafood is responsibly harvested under a strong monitoring, management, and enforcement program that works to keep the marine environment healthy, fish populations thriving, and our seafood industry on the job. Responsibly harvested seafood starts with sound science, and at the heart of fisheries science is the stock assessment. We break it down for you in this animated video—the ABC’s of stock assessments. Sound science makes effective management possible. Since 2000, 34 overfished stocks have been rebuilt, including the most recent—the southern stock of black sea bass. The U.S. Department of Commerce’s National Institute of Standards and Technology (NIST) today released its Preliminary Cybersecurity Framework to help critical infrastructure owners and operators reduce cybersecurity risks in industries such as power generation, transportation and telecommunications. In the coming days, NIST will open a 45-day public comment period on the Preliminary Framework and plans to release the official framework in February 2014, as called for in Executive Order 13636—Improving Critical Infrastructure Cybersecurity. In February 2013, President Obama directed NIST to work with stakeholders to develop a voluntary framework for reducing cyber risks, recognizing that U.S. national and economic security depends on the reliable functioning of critical infrastructure. Through a request for information and a series of workshops held throughout 2013, NIST engaged with more than 3,000 individuals and organizations on standards, best practices and guidelines that can provide businesses, their suppliers, their customers and government agencies with a shared set of expected protections for critical information and IT infrastructure. The Preliminary Framework outlines a set of steps that can be customized to various sectors and adapted by both large and small organizations while providing a consistent approach to cybersecurity. It offers a common language and mechanism for organizations to determine and describe their current cybersecurity posture, as well as their target state for cybersecurity. The framework will help them to identify and prioritize opportunities for improvement within the context of risk management and to assess progress toward their goals. Millions of jobs have been created in the years since the recession ended, but many Americans are still out of work. In fact, there are about 4 million job openings right now, and yet about 4 million Americans have been job-searching more than 6 months. Many employers simply cannot find workers with the skills necessary to do the jobs available. Business Leaders United for Workforce Partnerships (BLU) is working to address the skills mis-match by creating sector partnerships that align employers’ hiring needs with local and regional training systems. Yesterday, Secretary of Commerce Penny Pritzker joined Secretary of Labor Tom Perez and National Economic Council Director Gene Sperling to speak to BLU about what the Administration is doing to invest in workforce skills training and to hear about ways employers are proactively developing partnerships to create a pipeline of skilled workers in their local areas. Business leaders cited how their initiative, investments, and partnerships with local community colleges, Workforce Investment Boards, non-profits, and each other industry peers and others have reduced nursing shortages in Louisville; helped the long-term unemployed train for and gain employment in the financial services industry in southern California; and developed an electrical contracting apprenticeship program with 100% job placement in Tennessee. An export-oriented metal forming manufacturer in Minnesota described how he has worked with local community and technical colleges to create certificate programs to develop the skilled workforce the company needs. The International Trade Administration (ITA) for the first time in 30 years has fully implemented its first major organizational change. The change will better align key functions to support U.S. businesses and their workers more efficiently and effectively. The change reflects ITA’s adaptation to the evolution of global markets, technology, and competition. ITA’s reorganization consolidates its four business divisions into three more efficient and functionally aligned units. The new units are Global Markets, Industry and Analysis, and Enforcement and Compliance. The Global Markets unit combines ITA’s country and regional experts, overseas and domestic field staff, and specific trade promotion programs. The unit, which provides U.S. firms with the full suite of country-specific export promotion services and market access advocacy, also promotes the United States as an investment destination. The Industry and Analysis (I&A) unit brings together ITA’s industry, trade, and economic experts to advance the competitiveness of U.S. industries through the development and execution of international trade and investment policies and promotion strategies. I&A will leverage ITA’s relationships with manufacturing and services industries to increase U.S. exports. The Enforcement and Compliance unit enhances ITA’s responsibilities to enforce U.S. trade laws and ensure compliance with trade agreements negotiated on behalf of U.S. industry. Annual funding for the government expired on September 30. The Administration strongly believed that a lapse in funding should not occur. The Department is prepared for a lapse in funding that would necessitate a significant reduction in operations. Prior to a potential lapse in funding, the Office of Management and Budget (OMB) required the Department to submit a draft plan for agency operations (PDF) in the absence of appropriations (a “shutdown plan”). 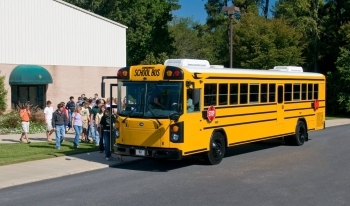 The plan may be modified with additional guidance from the Office of Personnel Management and OMB, and may be changed by the Department, as circumstances warrant. This plan (PDF) complies with the guidance provided by the Office of Management and Budget, the Department of Justice and the Department of Commerce. All employees who are Presidentially Appointed, Senate Confirmed will remain on duty. • Water level data for ships entering U.S. ports, critical nautical chart updates and accurate position information. • Budget operations required to support excepted activities under a shutdown, such as tracking of obligations and funds control. The wait wasn’t easy but it’s over. NOAA Fisheries has declared the southern stock of black sea bass successfully rebuilt. With that, the combined commercial and recreational catch limit for this popular species has more than doubled, to 1.8 million pounds. The southern stock of black sea bass ranges from Cape Hatteras, NC to the Florida Keys. For the communities along that stretch of coast, the higher catch limit is extremely good news. According to the latest Fisheries Economics of the U.S. report, in 2011 recreational fishing in this region supported more than 52,000 jobs and added just short of $3 billion of value to the nation’s GDP. Among recreational anglers, black sea bass is one of the most popular fish throughout its range. Those anglers will now be chasing black sea bass for about 6 months each summer and fall. In recent years, the season lasted about half that long. Black sea bass is also an important commercial species. Although the economic impact from commercial fishing is less overall, it will be felt strongly in the Carolinas, where the commercial black sea bass fleet is concentrated. 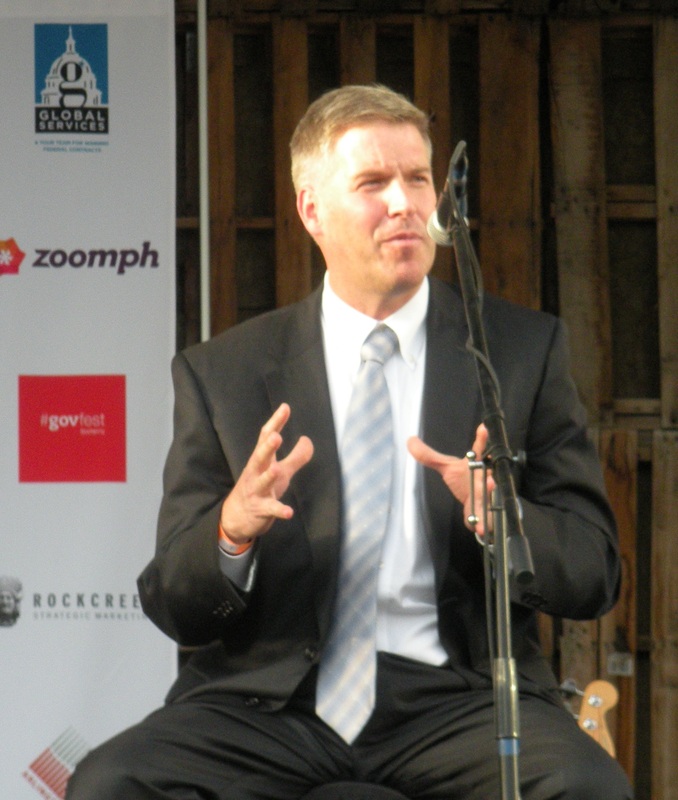 Yesterday, Acting Deputy Secretary Pat Gallagher participated in a panel discussion on "Bridging the Gap Between Government and Entrepreneurs" at an event hosted by #GovFest. Acting Deputy Secretary Gallagher was joined by Tameka Montgomery, Associate Administrator of the Office of Entrepreneurial Development at the Small Business Administration, and Jason Kessler, Program Executive for NASA's Asteroid Grand Challenge, in addition to Aneesh Chopra, the first U.S. Chief Technology Officer, who moderated the panel. The conversation focused on efforts to increase communication between entrepreneurs and the federal government in order to help innovators grow businesses, create jobs and increase America's competitiveness. Acting Deputy Secretary Gallagher highlighted the many areas where the Commerce Department is already working to support entrepreneurs. For example, two years ago, the White House called for a consumer-friendly button on utility company websites that would give consumers easy access to their own energy usage data and, in turn, save both money and support the environment. The aptly named Green Button Initiative has been a great success - 12 million households had access to the Green Button last year, which is expected to rise to 27 million in the near future. Entrepreneurs have already started to save consumers money and build value for themselves by using this data. 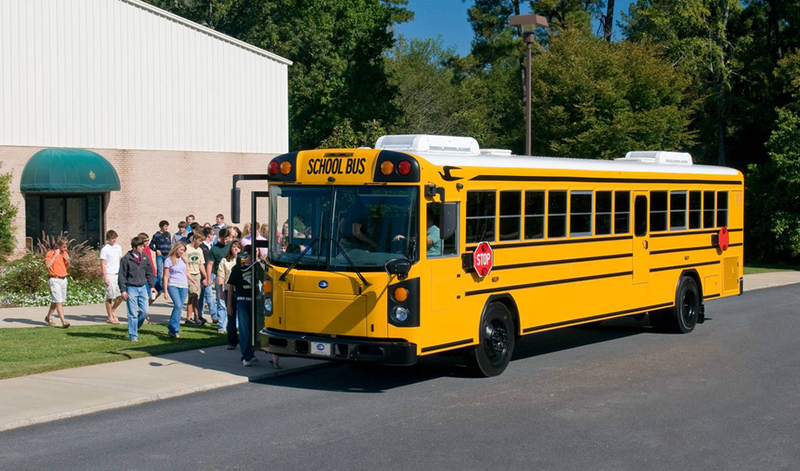 The Green Button Initiative was built on a technical standard which was developed by a public-private partnership supported by the Commerce Department's National Institute of Standards and Technology. Similar efforts are underway in the fields of health information technologies, smart grid systems, cybersecurity, and climate data. The American Community Survey statistics released today provide information for geographies with populations of 65,000 or more on many different topics, including income, poverty and health insurance. While national level statistics on these topics were released earlier this week from the Current Population Survey, many states and communities also rely on getting this information from the American Community Survey. These ACS statistics that cover 2012 will be followed by new releases of statistics from data collected over three- and five-year periods later this year, allowing you to explore these topics for every community in the nation. As the nation’s most comprehensive survey, the American Community Survey is unique in its ability to produce annual statistics on housing, economic and population measures for even the smallest geographic areas and population groups. 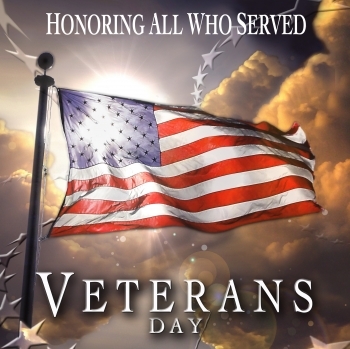 With today’s release, you can find statistics on a variety of topics including commute times, housing costs, educational attainment and characteristics of veterans. Retailers, homebuilders, police departments, and town and city planners are among the many private- and public-sector decision makers who count on these annual results. Looking at income, poverty and health insurance statistics provided by the American Community Survey helps communities measure their economic well-being as well as plan resource needs, such as allocating funds for food, health care, job training, housing and other assistance programs. For more information on the American Community Survey please visit census.gov/acs. This afternoon, Secretary Penny Pritzker attended Senator Jack Reed’s Rhode Island Business Leaders Day to affirm that Rhode Island, and America as a whole, are open for business. She noted the role that the Department of the Commerce is playing in helping to fortify the state’s economy by strengthening manufacturing, increasing exports, and making critical infrastructure and economic development investments. 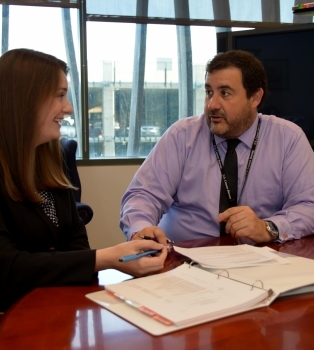 Through the local United States Export Assistance Center, the Department of Commerce is promoting Rhode Island’s exports. Nationwide, U.S. exports hit $2.2 trillion last year, supporting nearly 10 million good-paying jobs. In 2009, Rhode Island exports were just $1.5 billion. But last year, they hit $2.4 billion – representing a 60% jump. International trade now supports approximately 130,000 jobs in the state. And exports now support 17% of manufacturing workers in Rhode Island. Today, Rhode Island has seen growth in export areas like chemicals, machinery, electronics, and textiles, in addition to its biggest export, scrap metal, which often leaves from the Port of Providence. A recent example is the Warwick-based firm named Astro-Med. They asked the Commerce Department for help entering into new markets in Latin America. They contacted one of our aerospace specialists in our International Trade Administration’s Commercial Service, who helped connect them with Embraer. As a result, just two weeks ago they won a major contract for cockpit equipment from Embraer. This contract means jobs for Rhode Islanders. Rhode Island Business Leaders Day is an annual event co-hosted by Senator Jack Reed and the Rhode Island Food Dealers Association. Invitees include Rhode Island business owners from the manufacturing, defense, services, and financial sectors, economic development officials, and state politicians. The event consists of speeches and question and answer sessions with members of Congress, cabinet officials and journalists. 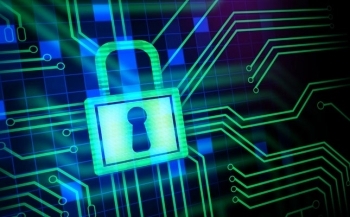 The U.S. Department of Commerce's National Institute of Standards and Technology (NIST) announced more than $7 million in grants to support the National Strategy for Trusted Identities in Cyberspace (NSTIC). The funding will enable five U.S. organizations to develop pilot identity protection and verification systems that offer consumers more privacy, security and convenience online. These new pilots build on the successful launch of five NSTIC pilots awarded in 2012. Launched by the Obama administration in 2011 and housed at NIST, NSTIC is an initiative that aims to support collaboration between the private sector, advocacy groups and public-sector agencies. The selected pilot proposals advance the NSTIC vision that individuals and organizations adopt secure, efficient, easy-to-use, and interoperable identity credentials to access online services in a way that promotes confidence, privacy, choice and innovation. Today Secretary Penny Pritzker delivered keynote remarks at the U.S.-Saudi Business Opportunities Forum currently underway in Los Angeles, an event being hosted by the Saudi Committee for International Trade, the U.S.-Saudi Business Council, and the Saudi-U.S. Trade Group. The event brought together approximately 1,200 American and Saudi businesses, government officials, academics and opinion leaders to highlight the U.S.-Saudi commercial and trade relationship and inform participants about business opportunities in Saudi Arabia. During her remarks, Secretary Pritzker noted that the United States and Saudi Arabia have a strong trade and investment relationship, and last year, trade between our two countries hit all-time record highs. Our bilateral trade is now triple what it was just a decade ago. Secretary Pritzker also noted that the Commerce Department, over the past four years, has helped more than 450 U.S. companies export to Saudi Arabia for the first time. More such partnerships are expected as Saudi Arabia’s plans for infrastructure growth allow U.S. companies opportunities to team up to build strong and vibrant Saudi communities, she said. 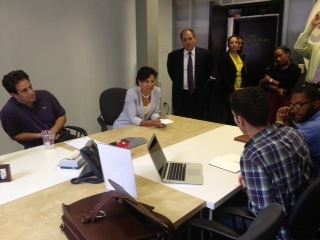 Secretary Pritzker also met with staff from the Los Angeles U.S. Export Assistance Center, which is part of the Department of Commerce’s International Trade Administration (ITA). Her visit with USEAC employees was an opportunity to thank them for their work and part of her ongoing efforts to meet with Department of Commerce employees all over the country. When President Obama took office, he made overhaul of the patent system one of his top priorities. New innovations and ideas play a crucial role in creating American jobs, stimulating our economy, and remaining globally competitive. And it was two years ago today that the president signed the America Invents Act (AIA) into law, setting in motion the most significant changes to the U.S. patent system since 1836. In just two years, the United States Patent and Trademark Office’s (USPTO) implementation of AIA has contributed to a more internationally harmonized, more predictable, and more flexible patent system for the United States, and one that is much more responsive to 21st century realities. 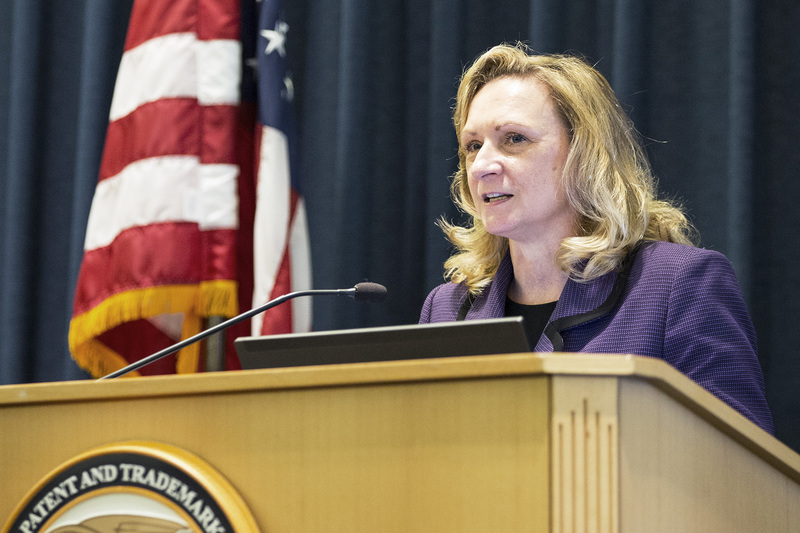 USPTO Deputy Director Teresa Stanek Rea marked the anniversary during a public forum at USPTO’s headquarters in Alexandria, Va., today. The meeting served as an opportunity to bring stakeholders together with USPTO experts to address and answers questions on AIA provisions. Businesses and federal statistical agencies have a long history of working together to produce something that is vitally important to both groups: the nation’s economic measurement toolkit. 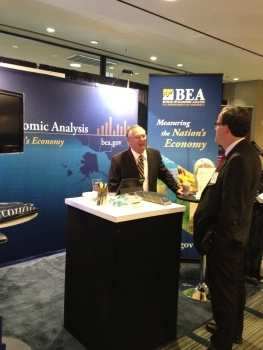 Steve Landefeld, director of the Commerce Department’s Bureau of Economic Analysis, charted the history of this collaboration and underscored the importance of continuing that partnership during a panel session Tuesday at the National Association for Business Economics’ (NABE) annual meeting in San Francisco. 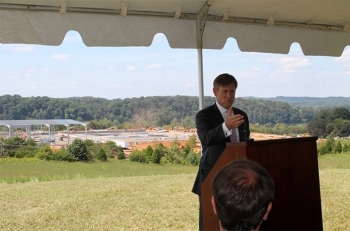 This public-private partnership has produced concrete results over the years. For example, BEA partnered with IBM to develop a new type of price index that captured the effect of changes in technology. And BEA worked with Chrysler to develop a new price index for motor vehicles. The Chamber of Commerce has also hosted conferences that led to important changes in the way the U.S. and other countries measure their economies. NABE has served as an important forum to spur additional ideas on the measurement front. Secretary Penny Pritzker’s visit to Missoula, Montana last week coincided with one of the community’s “First Friday Gallery Night” events. “First Friday’s” are part of a larger effort of the Cultural Council in Missoula to support the arts to benefit the community as a whole. These events include various art galleries, museums, and retail locations, and may feature musical performances, poetry readings, dance and lectures. The effort seem to be paying off, as one study found that Missoula’s nonprofit arts organizations are responsible for close to $40 million annually in local economic activity, from both the direct spending on arts activities as well as spending on related activities such as restaurant meals, and support more than 1,400 full-time jobs. Missoula is not alone in this; over the last three years, the U.S. economy has added 140,000 jobs in the arts and entertainment sector, as many communities recognize the benefits of a thriving artistic community. It used to be that communities invested in the arts solely as a local amenity that produces value in and of itself. In times of tight budgets, this justification has not always been enough to continue support for the arts; however, research has found there are many ways in which the arts economically benefit communities. A framework for thinking about these benefits can be found in what is known as “new growth theory,” which is based on the idea that individuals, firms and governments make a conscious choice to invest in skills, knowledge acquisition and in innovative activities. With investment in skills and innovation comes the development of technology that enhances growth, and technological changes have been found to be responsible for most of the long-run growth in income per capita. Further, there are spillovers of knowledge between firms and individuals that are near each other, leading to clusters of knowledge-based industries. Today, as part of Secretary Penny Pritzker’s nationwide listening tour, she toured the United Bicycle Institute in Portland, Oregon. It is the bicycle industry’s leading technical school offering courses in repair, frame building, and mechanic certification for technicians. 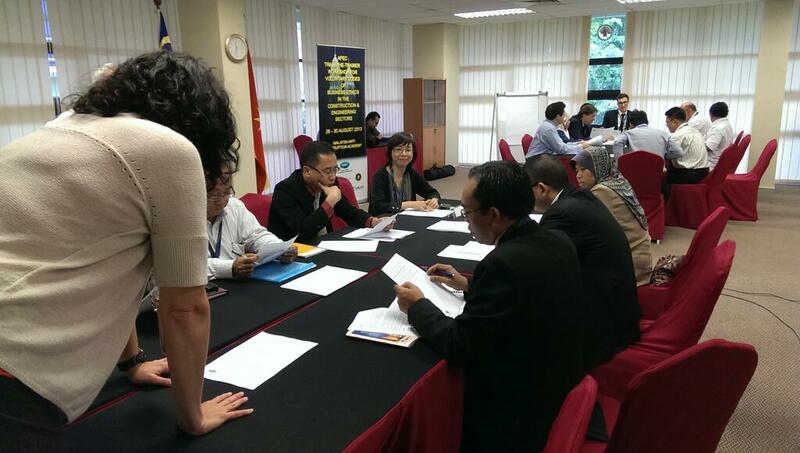 She also held a roundtable discussion with representatives from the bicycle industry. In 2012, Bicycling magazine rated Portland as the No. 1 cycling city in the U.S. The United Bicycle Institute (UBI) has established itself as a critical part of the cycling culture in the region. UBI has two facilities, the main facility in Ashland, Oregon and the Portland facility, which includes a 3,000 square foot mechanics classroom and a 2,400 square foot frame building shop. Founded in 1981, UBI has educated nearly 20,000 students since it opened, many of whom have gone on to careers in the bicycle industry. 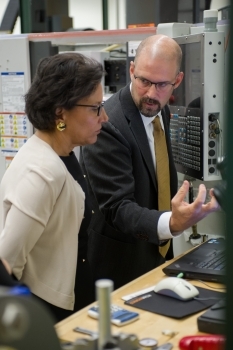 During her tour, Secretary Pritzker viewed the mechanics classroom where students work on a component-by component study of bicycle repair, as well as a study of the bicycle as a complete system. This enables mechanics to work on all types of bicycles. She also visited the frame room, where students are taught by master frame builders. The course of study provides certification for students who want to become professional frame builders. The frame building classes are intensive, but no prior frame building, welding or brazing experience is required. Students learn all the skills they need during the coursework. Following her tour, Secretary Pritzker participated in a roundtable with business owners in the bicycle industry who expressed their optimism about their ability to grow in the future. Portland was Secretary Pritzker’s 12th stop on her nationwide listening tour. 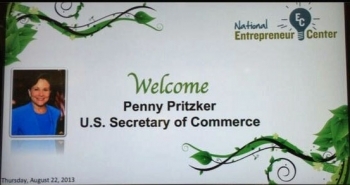 She has been meeting with businesses, thought leaders, entrepreneurs, academics and Department of Commerce employees. In these discussions, Secretary Pritzker has heard about their priorities, concerns and ideas on how the public and private sectors can work together to strengthen the economy and create American jobs. 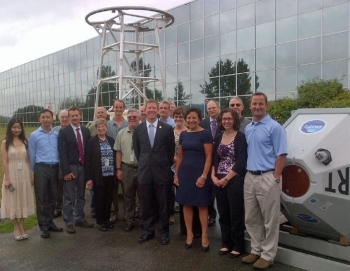 As part of her nationwide listening tour, Commerce Secretary Penny Pritzker yesterday visited the National Oceanic and Atmospheric Administration’s (NOAA) Western Regional Center in Seattle, Washington, the largest NOAA facility outside of Washington, D.C. She thanked NOAA employees for their hard work, which she said was critical to Commerce’s mission. The Secretary also toured parts of NOAA’s Office of Response and Restoration and NOAA Fisheries Service. On the tour of the Western Regional Center, Secretary Pritzker learned specifically about two different kinds of tsunami detection buoys that NOAA has developed and has now been commercialized by private industry. The buoys are now built commercially and sold to many different countries, thus providing a standardized tsunami detection and warning system for the world as well as creating U.S. jobs and increasing U.S. exports. A partnership between the National Weather Service and Pacific Marine Environmental Laboratory has made tsunami forecasting and warning more accurate than ever before, while helping to promote the development of tsunami forecasting capabilities in other countries. Secretary Pritzker also visited the Office of Response and Restoration where Secretary Pritzker learned about the tools they build and maintain that emergency responders depend on nationwide. These tools provide the best available science data to federal, state, and local responders when they need it most, predicting chemical reactions, oil spill and marine debris trajectories, and oil weathering during emergencies. From preparedness and response through recovery, the NOAA Office of Response and Restoration protects the United States’ coastal and marine environment from threats including marine debris, releases from hazardous waste sites, and oil and chemical spills. Today, as part of her nationwide listening tour, Secretary Pritzker visited Year Up in Seattle, WA. Year Up is a national non-profit organization operating in 12 cities that provides urban young adults with the skills, experience, and support that will empower them to pursue professional careers and higher education. She toured the facilities with Lisa Chin, Executive Director of Year Up Puget Sound Seattle, and John Stanton, Year Up Board Chair. On the tour she saw a Business Communications class where students learn the fundamentals of effective communication in a professional setting. 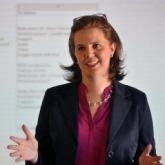 Some of the skills taught include public speaking, email etiquette, and giving presentations in a business setting. She also visited the IT Apps class where students use office productivity applications to build their own business plan, which they present to the class as a final project. Students at Year Up focus on learning skills and obtaining needed credentials during their first six months in the program. In the second six months, students apply those skills through corporate sponsorships. Students can earn up to 23 college credits during their year of study. Year Up is an excellent of example of how employers, community colleges and non-profits can come together to teach young adults the skills valued by employers. Making investments in our workforce and building out critical business infrastructure are key elements of any strategy to ensure our nations’ future economic growth. And when these investments are matched locally and amplify existing local and regional technological assets and expertise, they are doubly effective. I saw evidence of this today and yesterday when I travelled to Kentucky and Tennessee to announce three new EDA investments in these states. I was accompanied by Earl Gohl, federal co-chair of the Appalachian Regional Commission, which is doing impressive work that is critical to the competitiveness of this region. In Barbourville, Kentucky this morning, I was honored to participate in Union College’s opening convocation where I announce a $1.5 million EDA disaster assistance grant that will help Knox County and the surrounding region rebound and diversify in the wake of 2011 flooding and tornadoes. Specifically, the grant will support the region’s workers and its growing health-care sector by helping to renovate the former Knox County hospital building on the college’s campus to serve as the new Department of Nursing and Health Sciences. This EDA grants will ensure a full recovery for the region by helping them prepare for a greater healthcare workforce. The grant adds to the more than $42 million in EDA investments that have gone to projects in Kentucky since 2009, supporting the creation of 6,000 new jobs in the state. Have a business continuity plan. This plan can help protect businesses, employees, and infrastructure, and increase chances of recovery after a disaster. Know your risks. Gather information about local hazards by contacting your local emergency management office, American Red Cross chapter and NOAA's National Weather Service forecast office. Become a StormReady community. Being StormReady means your business has multiple ways to receive forecasts and warnings from the National Weather Service, monitors local weather conditions, communicates effectively with employees, promotes public readiness through community seminars, and has a formal hazardous weather plan. According to a report from the National Oceanic and Atmospheric Administration’s National Climatic Data Center, Americans coped with 11 weather and climate disaster events in 2012, including seven severe weather and tornado events, two tropical cyclone events, a year-long drought and wildfires. 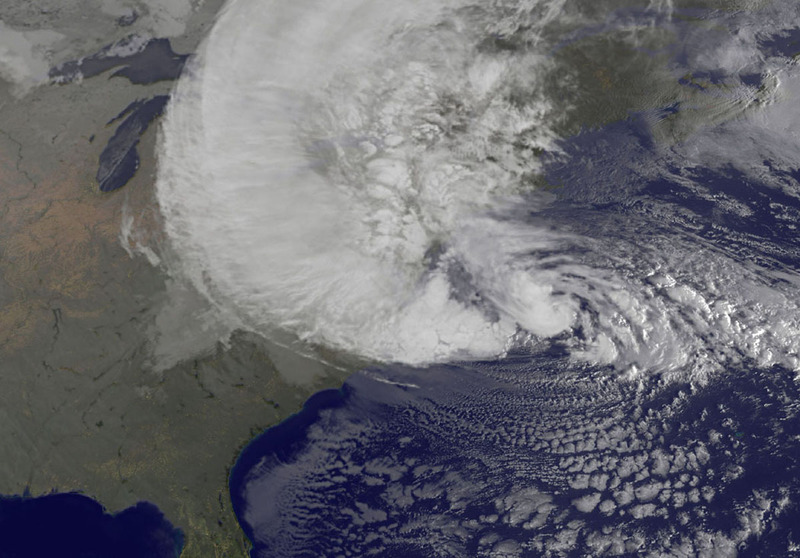 The impacts of this weather have a significant effect on the U.S. economy. 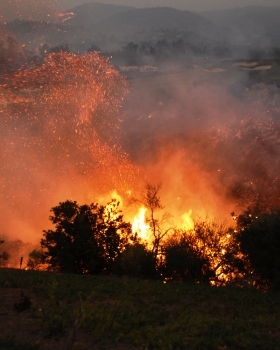 In addition to killing over 300 people, the events in 2012 caused more than $110 billion in damages, having particularly devastating economic effects on the impacted areas. That makes last year’s disaster costs second only to 2005, which incurred $160 billion in damages. These effects can be felt by businesses that don't reopen after a storm, which also negatively impacts communities and the local economy. The American Red Cross reports that as many as 40 percent of businesses fail following a disaster. But businesses that are weather-ready don't have to be part of this statistic. The time is now. Businesses can’t afford to be unprepared, particularly with the peak of hurricane season now in full swing. Implementing the suggested recommendations can help businesses and communities survive natural disasters and sustain their local economies. 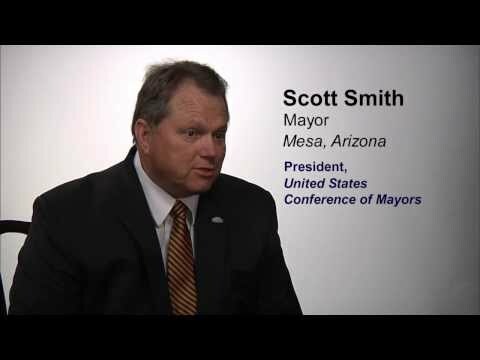 For more information on how businesses can prepare for an emergency, visit www.ready.gov/business. The first observance of Labor Day was likely on Sept. 5, 1882, when some 10,000 workers assembled in New York City for a parade. That celebration inspired similar events across the country, and by 1894 more than half the states were observing a "workingmen's holiday" on one day or another. 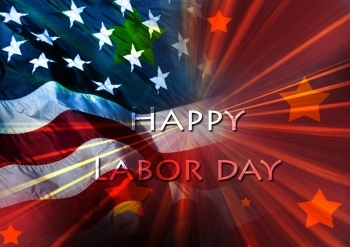 Later that year, with Congress passing legislation and President Grover Cleveland signing the bill on June 29, the first Monday in September was designated "Labor Day." This national holiday is a creation of the labor movement in the late 19th century—and pays tribute to the social and economic achievements of American workers. 84.7%: Percentage of full-time workers 18 to 64 covered by health insurance during all or part of 2011. 4.3%: Percentage of workers 16 and over who worked from home in 2011. 76.4%: Percentage of workers 16 and over who drove alone to work in 2011. 25.5 minutes: The average time it took workers in the U.S. to commute to work in 2011. 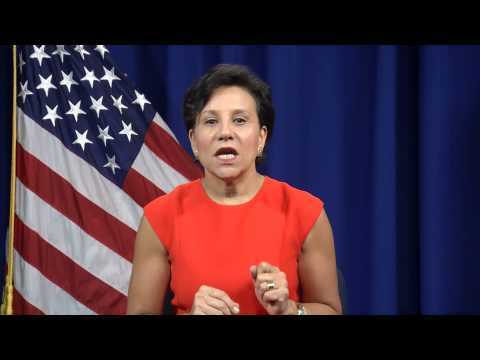 Secretary Pritzker Labor Day statement. The Department of Commerce has taken advantage of several opportunities to support its commitment to Asia, an important region with some of the world’s fastest growing economies. 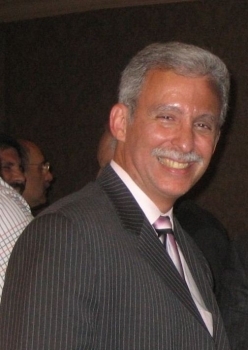 Under Secretary of Commerce for International Trade Francisco Sánchez visited Brunei this month for the Association of Southeast Asian Nations (ASEAN) Business and Investment Summit. His message to the Summit was that ASEAN remains an important partner to the United States and a key player in the global marketplace. As ASEAN looks to form an integrated economic community, the United States wants to make sure every nation in the region understands America’s commitment to ASEAN and the broader Asia-Pacific region. The United States and ASEAN are working within the Expanded Economic Engagement framework, designed to expand trade and investment ties and create new business opportunities and jobs in all eleven countries. The United States and the Commerce Department support the important initiatives ASEAN is taking on to support the competitiveness of small and medium-sized enterprises (SMEs). All governments in the region are actively working to put greater emphasis on protecting intellectual property and enforcing intellectual property rights. This encourages innovation, as it ensures that SMEs will be able to profit from their ideas without worry of them being compromised. 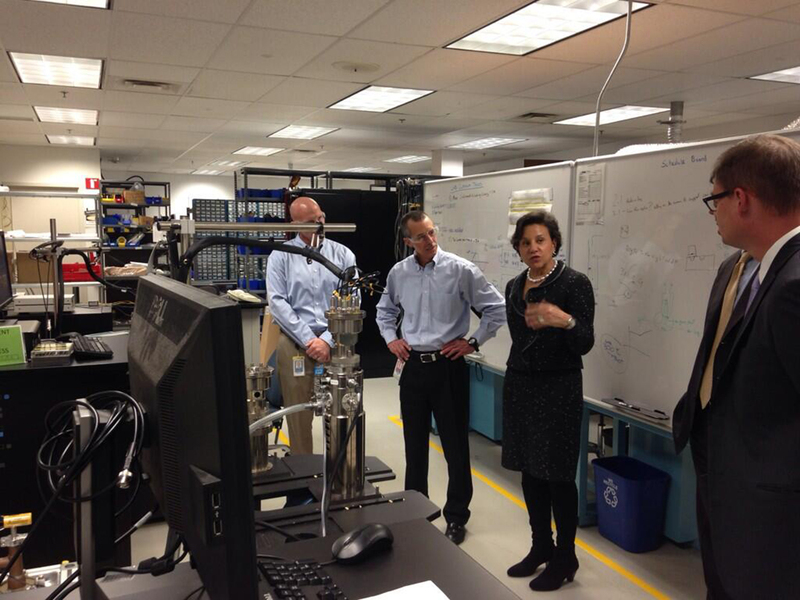 While in Houston, Texas today, Secretary Pritzker visited a U.S. Export Assistance Center (USEAC), part of the International Trade Administration (ITA), and met with USEAC employees and employees from the Bureau of Industry and Security’s (BIS) Houston field office. The secretary's visit was part of her latest stop on a nationwide listening tour and was an opportunity to thank the employees for their work for the Department of Commerce. USEACs are the domestic arm of ITA’s U.S. Commercial Service, which is comprised of an extensive network of trade specialists located in more than 100 U.S. cities and 80 countries worldwide. The specialists help American companies start exporting or expand their international business presence. 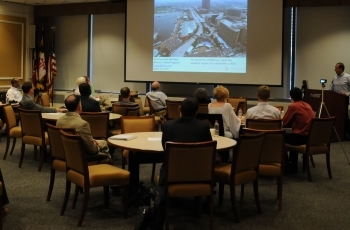 Specific services include: world class market research; trade events that promote companies’ product or service to qualified buyers; introductions to buyers and distributors; and counseling and advocacy through every step of the export process.The Houston USEAC in particular has been working with companies in the energy, information technology and transportation sectors to support and increase U.S. exports. The secretary also met with representatives from BIS’ Houston field office. The Houston office’s mission is to protect U.S. national and domestic security, foreign policy and economic interests. 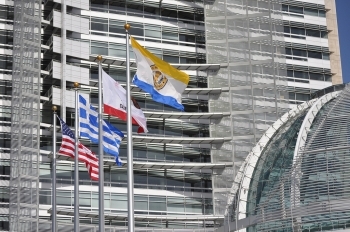 BIS operates a law enforcement program focused on sensitive exports to hostile entities or those that engage in onward proliferation, prohibited foreign boycotts and related public safety laws. The office accomplishes its mission through preventative and investigative enforcement activities and then pursuing appropriate criminal and administrative sanctions against export violators. Secretary Penny Pritzker today announced that the Department’s Economic Development Administration (EDA) is awarding a $600,000 grant to The Idea Village, Inc., of New Orleans, La., to support programs that assist entrepreneurs in building their businesses and creating jobs. Secretary Pritzker is in New Orleans today as part of her nationwide listening tour, and made the announcement at The Idea Village after meeting with local entrepreneurs, mentors and business leaders. The EDA investment announced today will support more than 300 businesses, according to grantee estimates. Specifically, it will fund additional technical assistance programs, especially in such growing fields as technology, biomedical engineering, and media production; help with expansion of The Idea Village’s successful “Entrepreneur Season,” a six-month-long program of business assistance and education; and support more forums, workshops, and networking sessions that will be offered during New Orleans’ Entrepreneur Week. EDA previously awarded two grants to The Idea Village – $800,000 in 2009 and $400,000 in 2011 – which helped the organization build their capacity to assist entrepreneurs. 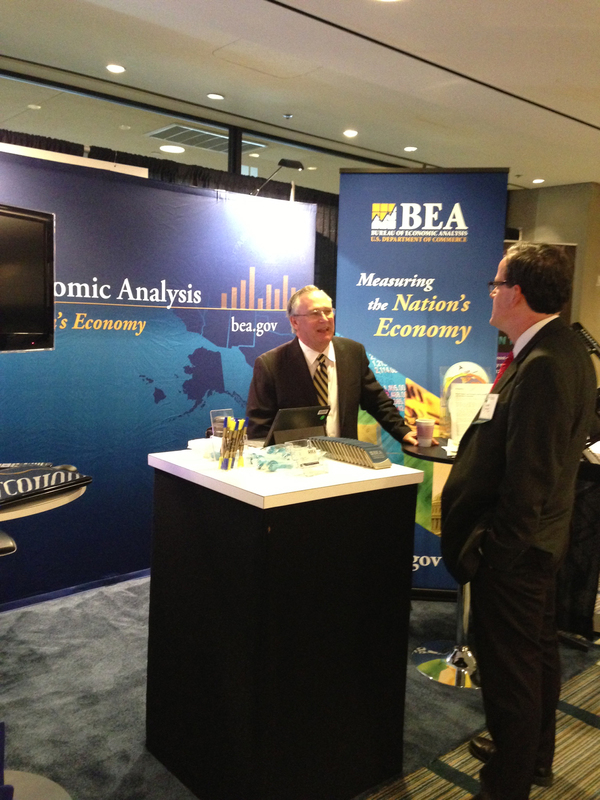 To learn more about the U.S. Economic Development Administration, visit www.eda.gov. 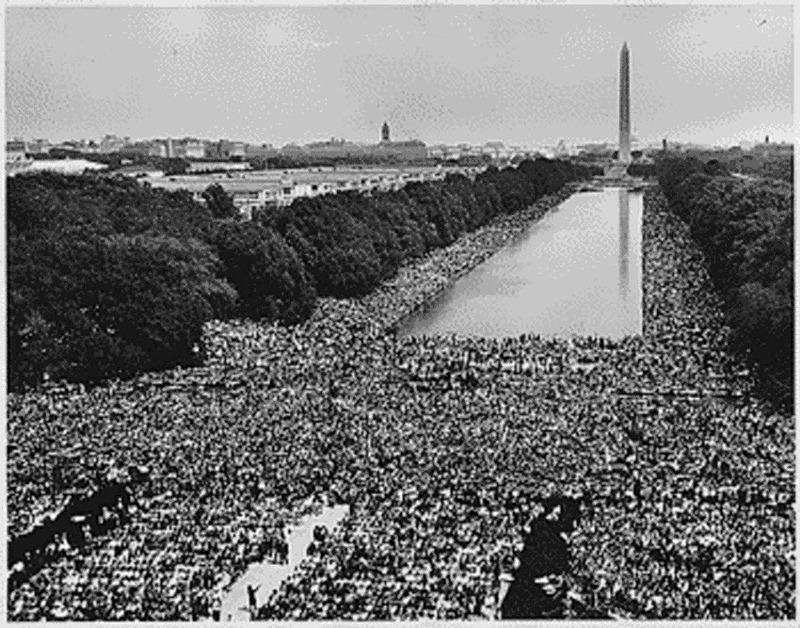 On Aug. 28, 1963, Martin Luther King Jr. spoke to more than 200,000 people from the steps of the Lincoln Memorial during the March on Washington for Jobs and Freedom. His famous "I Have a Dream" speech and the march were key moments in the American Civil Rights Movement. To mark the anniversary, the U.S. Census Bureau has gathered key statistics that measure changes in some aspects of the black population to date. There has been tremendous progress over the past 50 years. The diversity that we see in the classrooms and boardrooms around the country is a testament to that. And that impulse towards making sure everybody gets a fair shot is one that found expression in the Civil Rights Movement, but then spread to include Latinos and immigrants and gays and lesbians. “As we reflect back on the progress made over the last five decades, there still remains a lot of work to ensure that everyone who works hard can succeed, regardless of race, gender, or sexual orientation,” Commerce Secretary Penny Pritzker said in an anniversary statement. On August 23, President Obama signed a Presidential Proclamation commemorating the 50th Anniversary of the March in 1963. Review the U.S. Census Bureau’s Facts for Features Special Edition for information about population, voting, elected officials, income, housing and many other demographic categories. 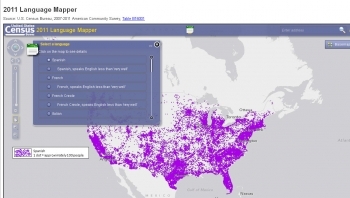 The U.S. Census Bureau has released a web-based map application built to display language data collected from the American Community Survey. Language use, English-speaking ability, and linguistic isolation data are currently collected in the American Community Survey. In the past, various questions on language were asked in the censuses from 1890 to 1970. The current language use questions, in use since 1980, gather how many people speak a language other than English at home, what languages are spoken, and how well English is spoken. For most people residing in the United States, English is the only language spoken in the home. However, many languages other than English are spoken in homes across the country. Data on speakers of languages other than English and on their English-speaking ability provide more than an interesting portrait of our nation. Routinely, these data are used in a wide variety of legislative, policy, legal, and research applications. U.S. Secretary of Commerce Penny Pritzker today announced $15 million in U.S. Economic Development Administration (EDA) grants to support 11 Trade Adjustment Assistance Centers (TAACs) in California, Colorado, Georgia, Illinois, Massachusetts, Michigan, Missouri, New York, Pennsylvania, Texas, and Washington that help manufacturers affected by imports adjust to increasing global competition and create jobs. 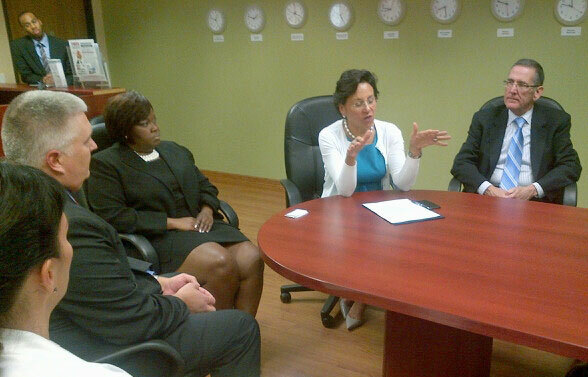 Earlier today, Secretary Pritzker visited the Census Bureau’s Atlanta Regional Office. She met with Census Bureau employees as well as staff from the Economic Development Administration and Minority Business Development Agency. Her latest stop on her listening tour, and the first at a Census Bureau regional office, gave her the opportunity to thank the employees for their hard work collecting the data that allows the Census Bureau to measure America’s people, places and economy. The Census Bureau’s six regional offices form the backbone of the data collection process. Field representatives in the Atlanta region follow up with respondents from South Carolina to Louisiana to gather data for surveys such as the American Community Survey, which provides the only local statistics available for every neighborhood in the nation. Guest blog post by Daniel Halpern, President and CEO of Jackmont Hospitality, Inc., and the Chair-Elect of the Corporation for Travel Promotion, dba Brand USA. I had an inspiring conversation today with Secretary of Commerce Penny Pritzker. I joined Secretary Pritzker and the heads of several Atlanta companies to discuss the opportunities and challenges facing the Atlanta business community. I think we all felt inspired by the conversation and the work that the Department of Commerce is doing to lead the economic recovery. Travel and tourism was a key topic the Secretary and I discussed. Travel and tourism is the United States’ largest services export. In 2012 international visitors spent nearly $166 billion and produced a $47 billion trade surplus, supporting 1.2 million jobs. Tourism benefits virtually every sector of the U.S. economy, from hotels and attractions to restaurants, transportation, retail, and professional services. The travel and tourism industry has advanced under the leadership of the Obama administration and the Department of Commerce. We’ve witnessed the signing of the Travel Promotion Act, which created Brand USA, and the development of a National Travel Tourism Strategy to attract 100 million international visitors by 2021. Today, as part of her nationwide listening tour, Secretary Pritzker visited the Global Center for Medical Innovation (GCMI) in Atlanta, Ga. GCMI is an independent, non-profit organization that works with universities, research centers, and investors to help accelerate the commercialization of innovative medical technology. GCMI, which opened in 2010, houses facilities that local entrepreneurs can use to design, engineer, and build their products, and provides access to a growing network of experts that can help bring cutting edge ideas to market. The secretary toured the facility with GCMI executives and CEOs from two of the four startup businesses that reside at GCMI. During her tour, Secretary Pritzker learned about some of the daily on-site activities at GCMI, including medical device design engineering and prototyping, and explored the organization’s design lab. She also learned about the center’s rapid prototype machine, which is a 3D printer that enables innovators, and entrepreneurs to bring their ideas from concept to reality in a matter of hours. Typically, prototypes take days or weeks to manufacture. GCMI is able to support a relationship between Georgia Tech and Children's Healthcare of Atlanta to develop and commercialize new medical devices for the pediatric market. They are also helping an Atlanta-based entrepreneur and an inventor from Georgia Tech develop a functional prototype to help quadriplegics GAIN greater mobility. 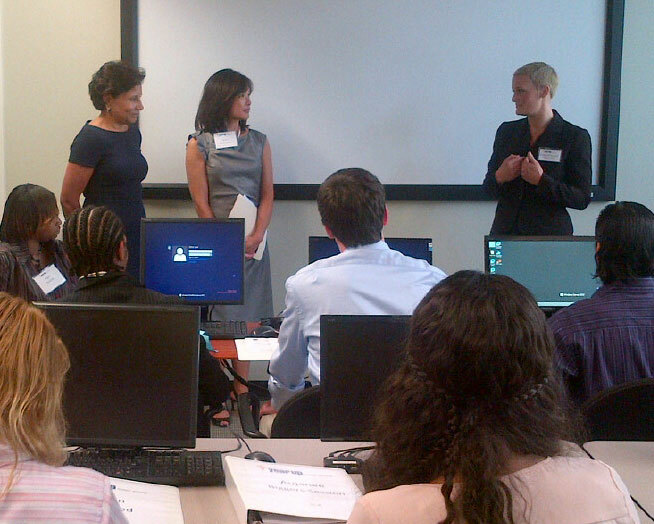 Secretary Pritzker also met with some of the students who are part of GCMI’s apprentice program. This program provides opportunities to students and recent graduates from leading engineering and medical schools around the country who participate in a range of development activities that help bring new medical technology from the lab to the clinic. Secretary Pritzker visited Orlando, Florida, today as part of her overall listening tour to hear directly from business leaders on how the public and private sectors can work together to strengthen the economy and create American jobs. 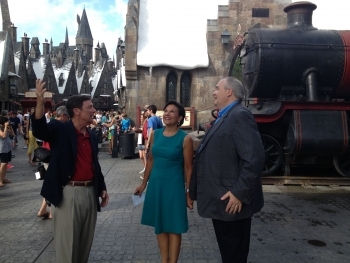 While in Orlando, Secretary Pritzker met with local business leaders on the need to pass comprehensive immigration reform, which is key to the country’s economic growth. She shared her story as an entrepreneur coming from a family of entrepreneurs, including her great-grandfather who emigrated from Russia to the United States. Pritzker referenced a recent White House report citing the Economic Benefits of Fixing Our Broken Immigration System. The value of immigrants to the American economy cannot be understated. More than 40% of Fortune 500 companies were founded by immigrants or their children. One-fourth of U.S. Nobel Prize winners over the years have been foreign-born. While immigrants account for only about 13% of the U.S. population, they start about 28% of all new businesses, according to an analysis of Census Bureau data. Florida businesses were very aware of the power of immigrants to drive an economy. Nearly one-fourth of the labor force is foreign-born and about 30% of business owners are immigrants who generate over $13 billion in annual income. Through reform, it’s estimated that Florida’s economic output would increase next year by $1.8 billion and create 22,000 new jobs. According to one model, reforms in the Senate bill including a pathway to earned citizenship and an expansion of high-skilled and temporary worker programs would increase personal income for Florida families by over $6.5 billion in 2020. Today, as part of her nationwide listening tour, Secretary Penny Pritzker toured Universal Studios Orlando with Bill Davis, President & COO, Universal Orlando and John McReynolds, SVP External Affairs, Universal Parks and Resorts and held a roundtable with Presidents and CEOs of local travel and tourism companies. Orlando is home to a vibrant travel and tourism industry that doesn’t contribute just to the state of Florida’s economy, but to the nation’s economy as a whole. In fact, international travel is the country’s largest service export with the travel and tourism industry accounting for nearly $1.4 trillion to the U.S. GDP and providing more than 7.5 million jobs for American workers, according to the Department of Commerce. According to the Orlando Tourism Bureau, in 2011, Orlando benefited from $31.7 billion in visitor spending. Orlando was the fifth most visited U.S. city in 2011 with 2.8 million international visitors and Florida ranked third among states in 2011 with 5.7 million international visitors. 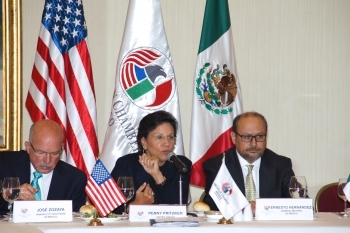 During the roundtable, Secretary Pritzker not only discussed the value of the travel and tourism industry to the overall American economy, but also the key role the Commerce Department plays in supporting and promoting the United States as the premier destination for international travelers. In fact, the Department’s NOAA manages the nation’s marine sanctuaries – a great destination for marine life lovers and history buffs. This week the National Institute of Standards and Technology (NIST) welcomed dozens of representatives from Maryland businesses to learn about collaboration and technology licensing opportunities at a “Green Technology and Advanced Manufacturing Showcase.” The event was hosted by the Maryland Technology Development Corporation (TEDCO), an independent organization that provides entrepreneurial business assistance and seed funding for the development of startup companies in Maryland. The memo instructed agencies to take steps to enhance successful technology innovation networks by fostering increased federal laboratory engagement with external partners. TEDCO is one of the partners working with NIST to foster tech transfer and its economic benefits. Attendees at today’s event learned about the Hollings Manufacturing Extension Partnership, which supports small- and mid-size manufacturers across the U.S.; how to work with NIST; and technologies available for license from NIST’s Engineering and Material Measurement laboratories.